For our family vacation in 2018, we drove out to the Pacific Northwest on a 14-day road trip. After spending a day in Glacier National Park and four days in the Seattle area, we drove south to spend the next several days in Oregon. 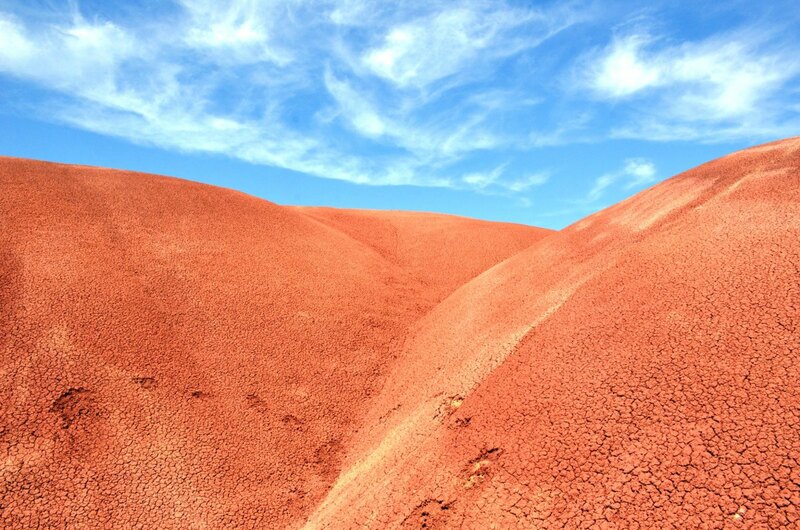 It is an outdoor-lover's dream and one of the most beautiful places that I have ever visited. 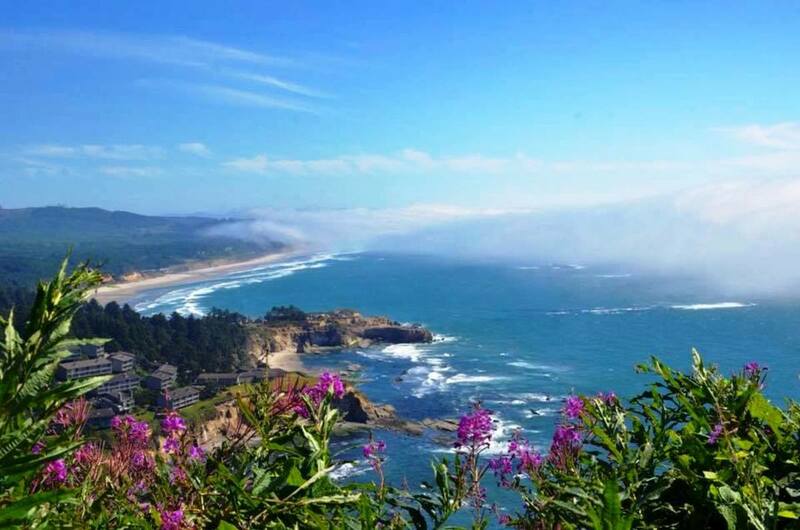 Here is a look at the top 10 things to do in Oregon outdoors. 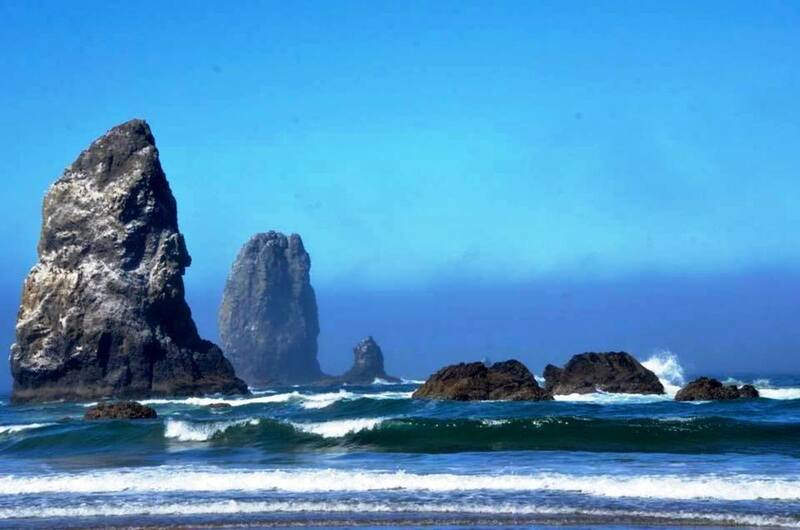 Cannon Beach is beautiful and amazing. 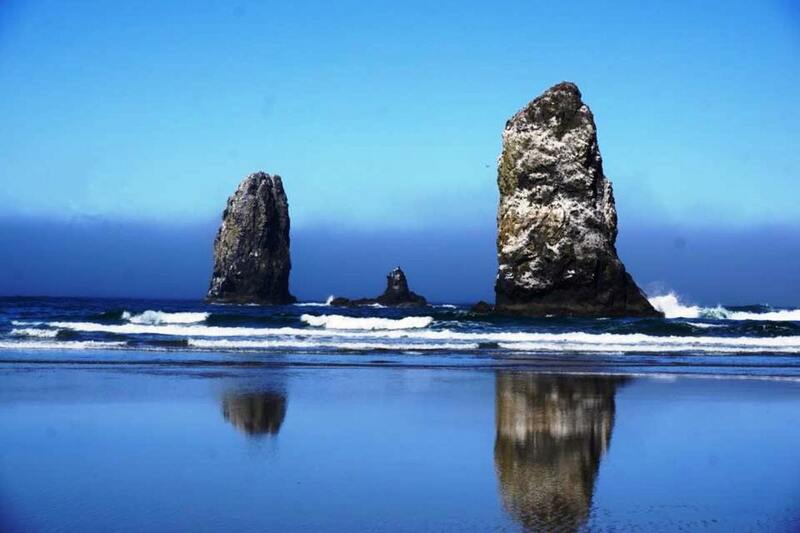 It is known for its four-mile-long sandy beach with the iconic Haystack Rock rising 235-feet high out of the water. 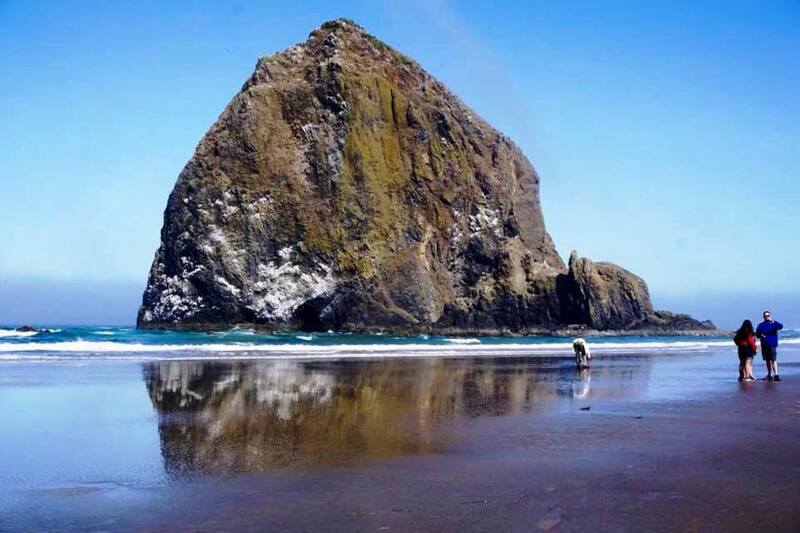 At low tide at Cannon Beach, people can walk right up to the Haystack Rocks. 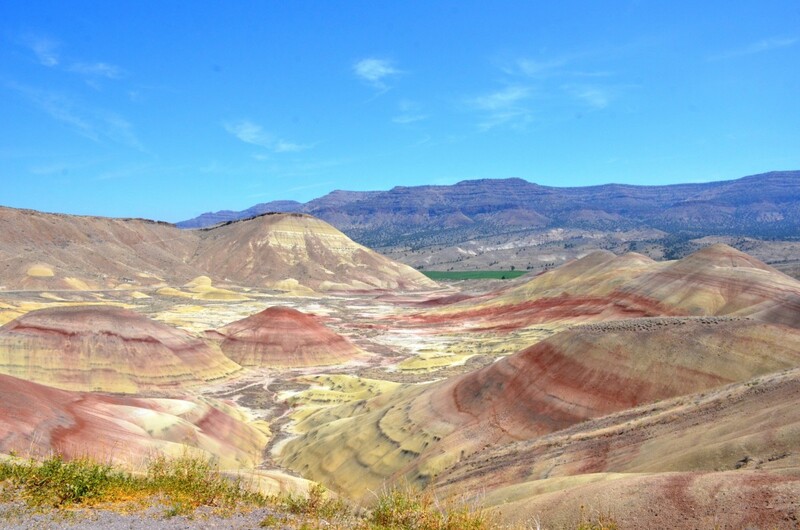 It is an awe-inspiring view like something out of a painting. 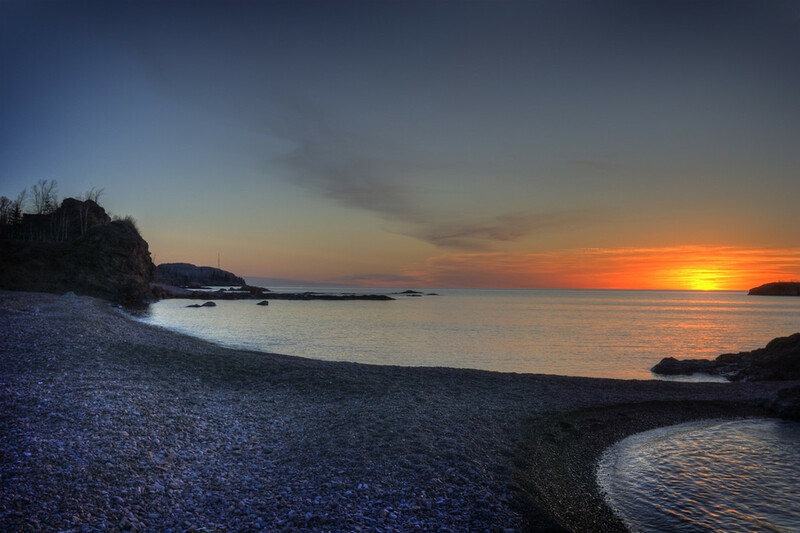 Sunsets are spectacular there as the sun reflects off of the rocks. 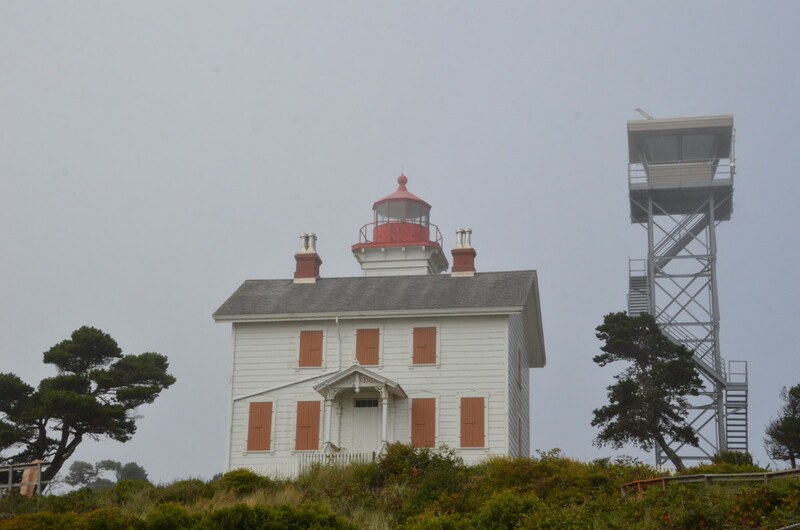 We visited on a foggy morning in late July and needed sweatshirts as the breeze was blowing in off the Pacific. It was amazing to watch the rocks come in and out of view through the fog. 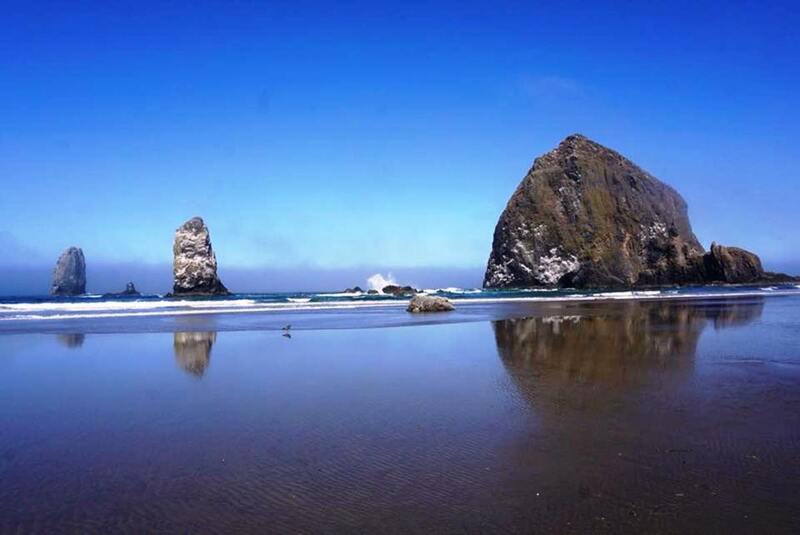 I will not soon forget the beauty of Haystack Rock and Cannon Beach. 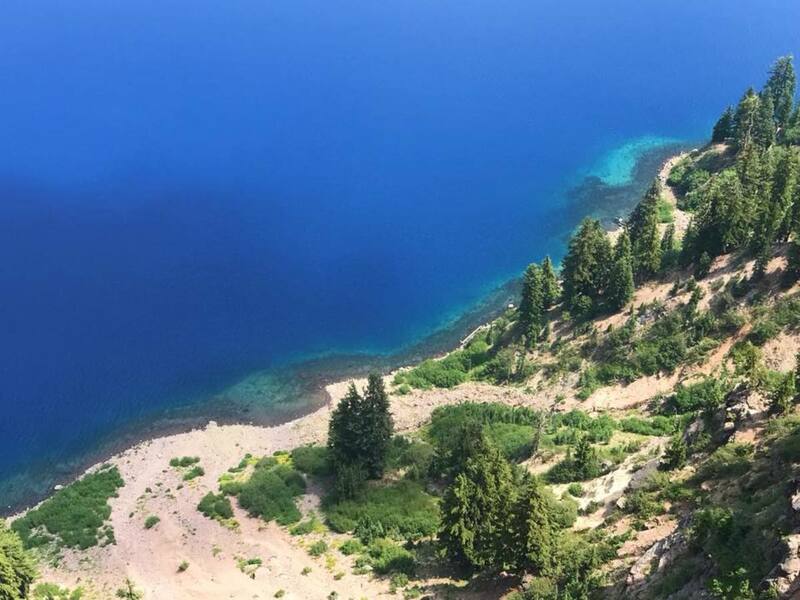 Crater Lake National Park is unique and spectacular. 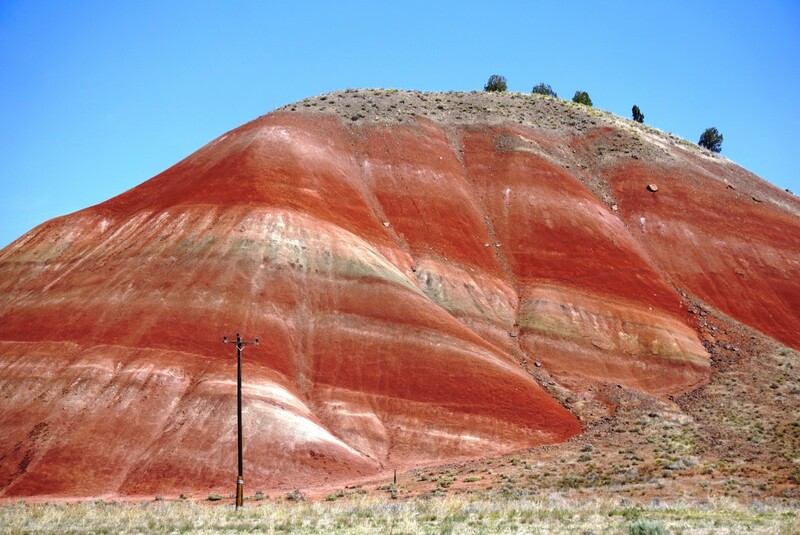 It formed when Mount Mazama erupted which caused the summit to collapse. 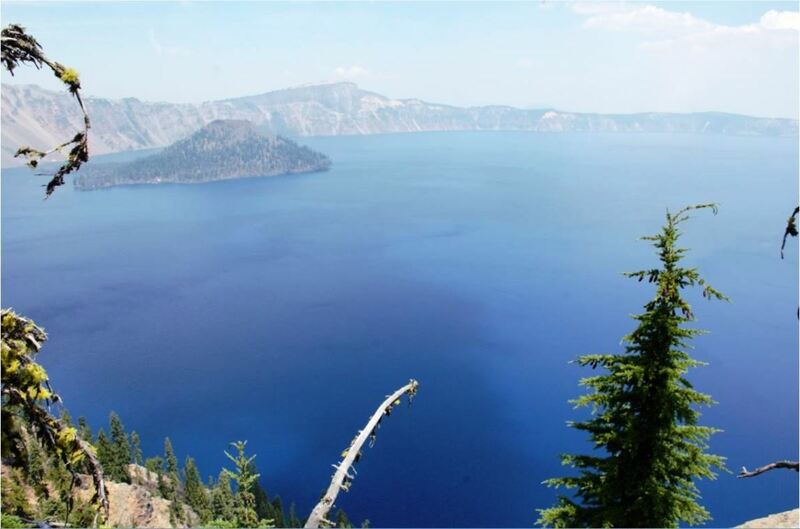 Thousands of years of rain and snow have filled Crater Lake with breath-taking deep blue water. The color of the water is due to its purity. 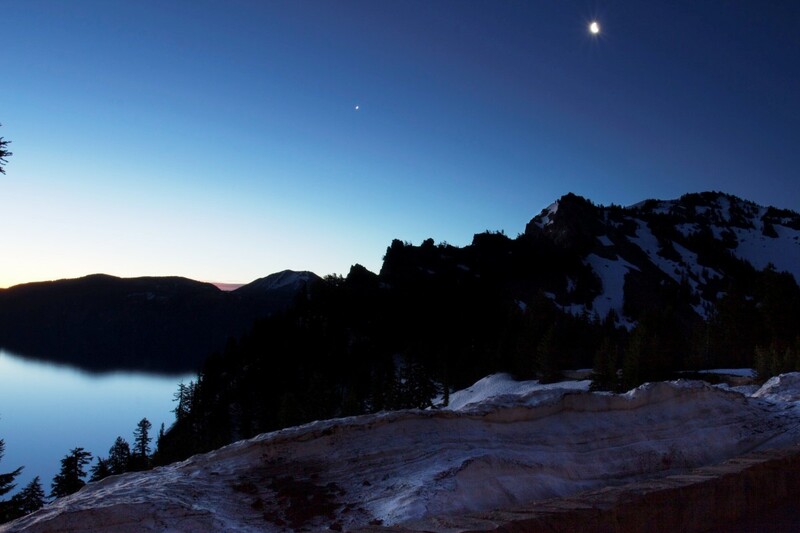 Crater Lake is the deepest lake in the United States. 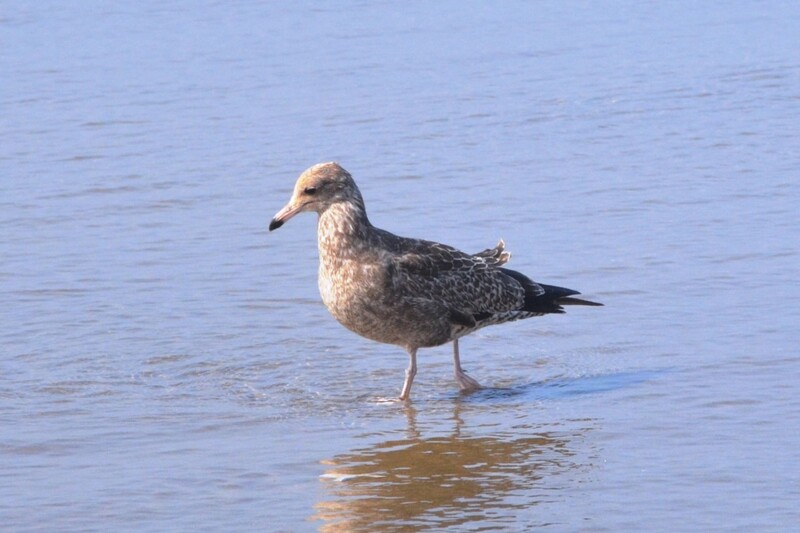 For the outdoor lover, the park has many things to do from hiking, fishing, star gazing, swimming, and wildlife viewing. 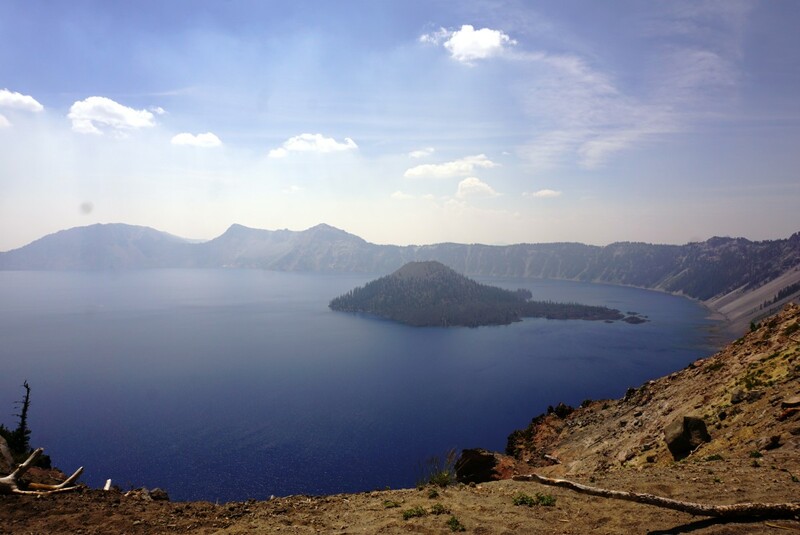 Crater Lake National Park also offers boat tours and is a great place to watch sunsets and sunrises. Another great way to explore the park is to drive on Rim Drive. There are plenty of viewpoints with spectacular views. Unfortunately, we had to cut our visit shorter than we wanted because several wildfires were burning further south where we had planned to stay the night. Plus, there was a fire burning inside the northern boundary of the park, but thankfully was limited to a remote area. I highly recommend visiting the Sinnott Memorial Overlook which is behind the Rim Visitor Center. The overlook is in the caldera ledge and offers magnificent views of the lake. 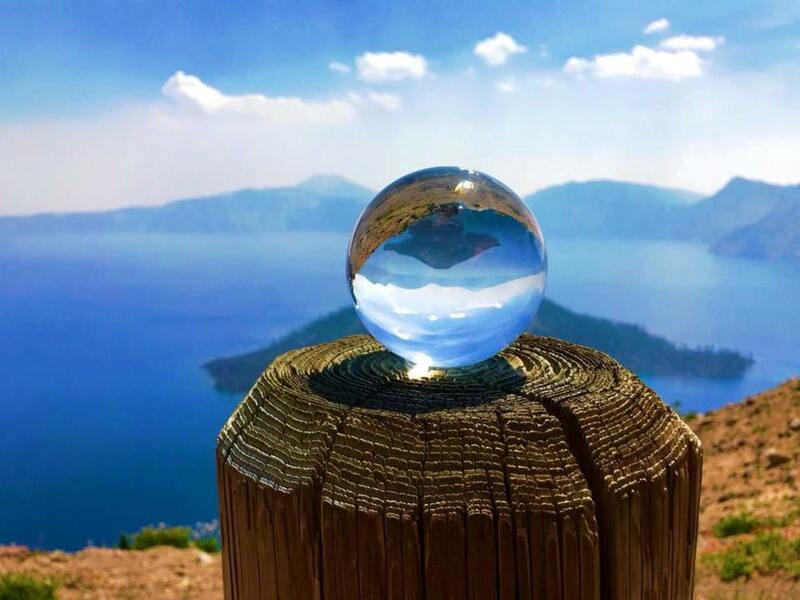 Crater Lake is a must see when visiting Oregon. 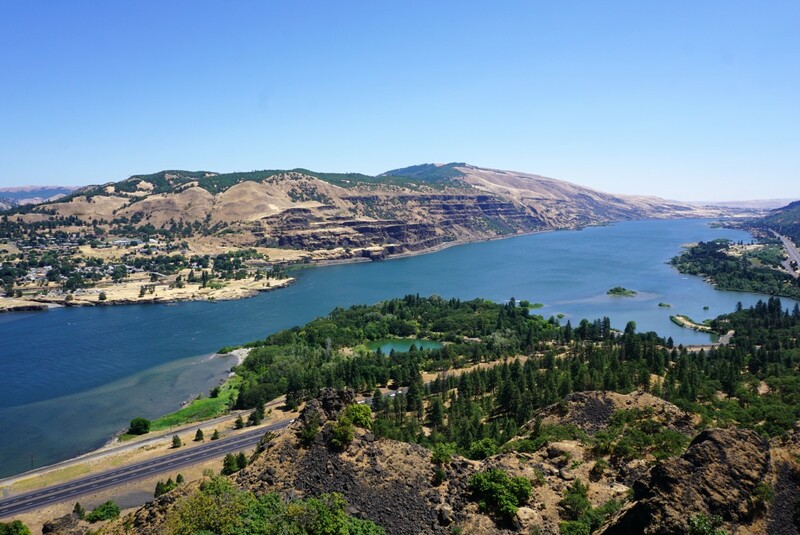 The Columbia River Gorge is an outdoor lover’s paradise with plenty of hiking trails, waterfalls, amazing views of the gorge, and more. 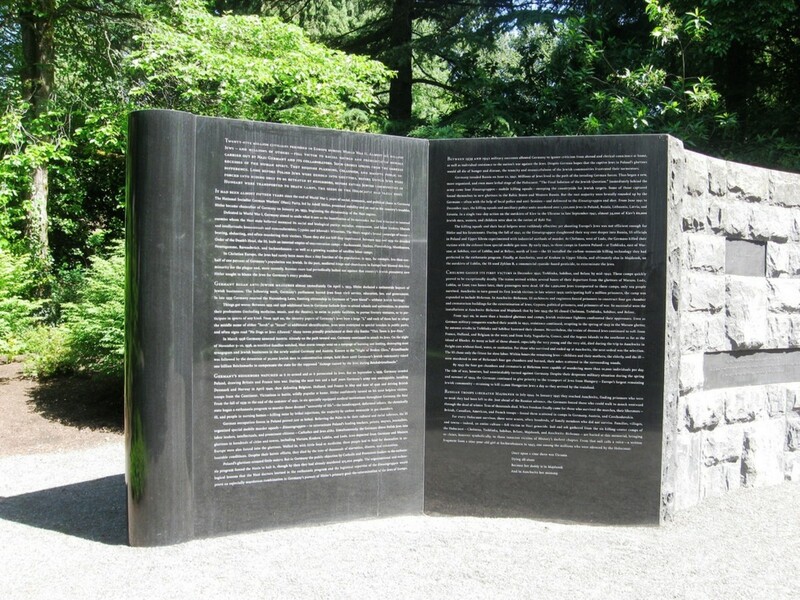 It runs 85 miles and serves as the dividing line between Washington and Oregon. 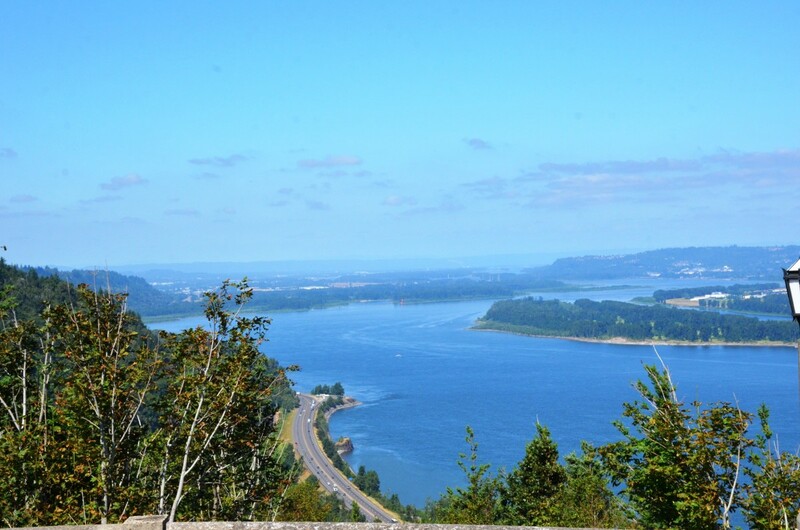 I want to highlight the best places to visit in the Columbia River Gorge. 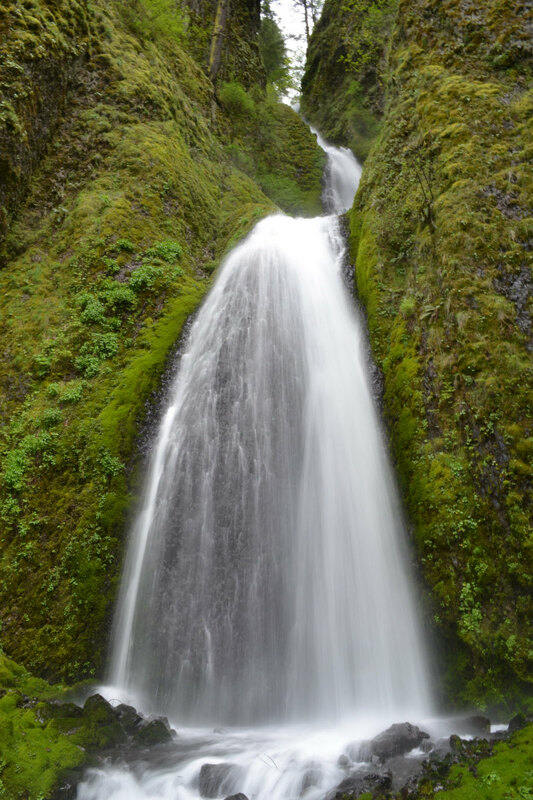 The Columbia River Gorge boasts the highest concentration of waterfalls in North America. Most of which are in the western end of the gorge on the Oregon side. 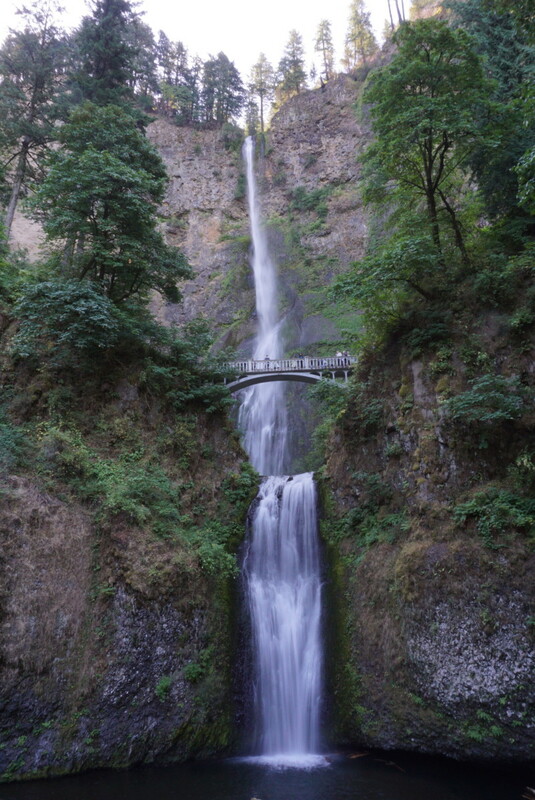 The most magnificent waterfall is Multnomah Falls at 620 feet tall. 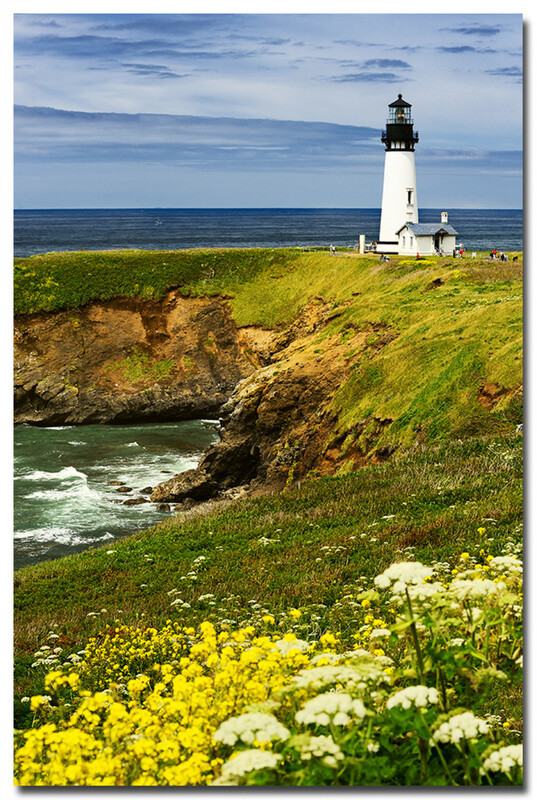 It is the most popular tourist destination in Oregon. 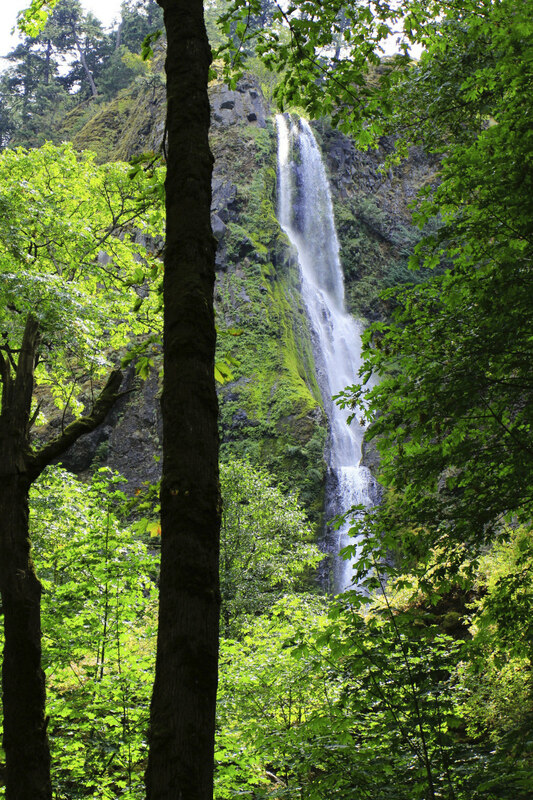 Other great falls include Latourell Falls (249 feet), Wahkeena Falls (242 feet), Starvation Creek Falls (225 feet), Elowah Falls (220 feet), and Horsetail Falls (176 feet). We were only able to visit Multnomah and Latourell Falls due to the Eagle Creek Fire, but both were spectacular. 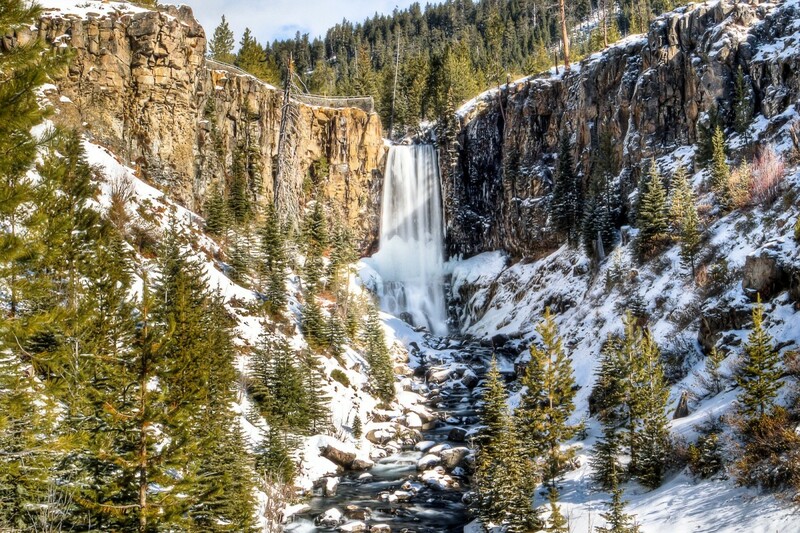 As of the middle of December 2018, most of the other falls have now reopened, though the Forest Service urges caution. 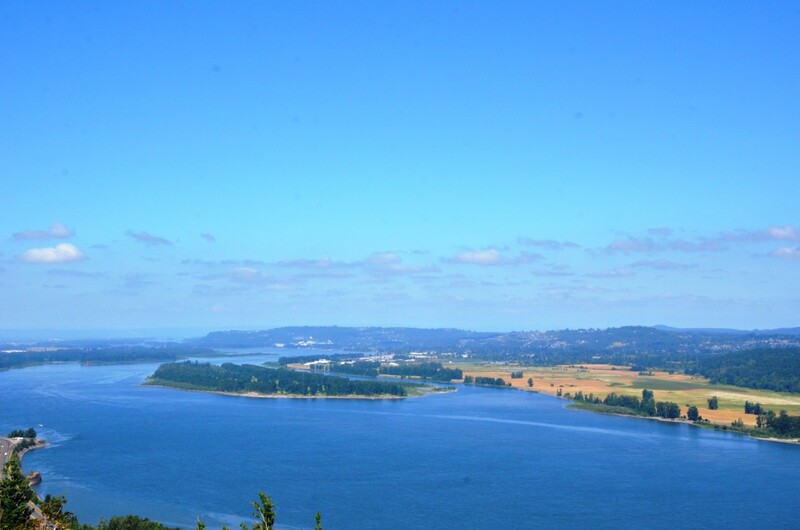 The Columbia River Gorge is the largest National Scenic Area in the United States. 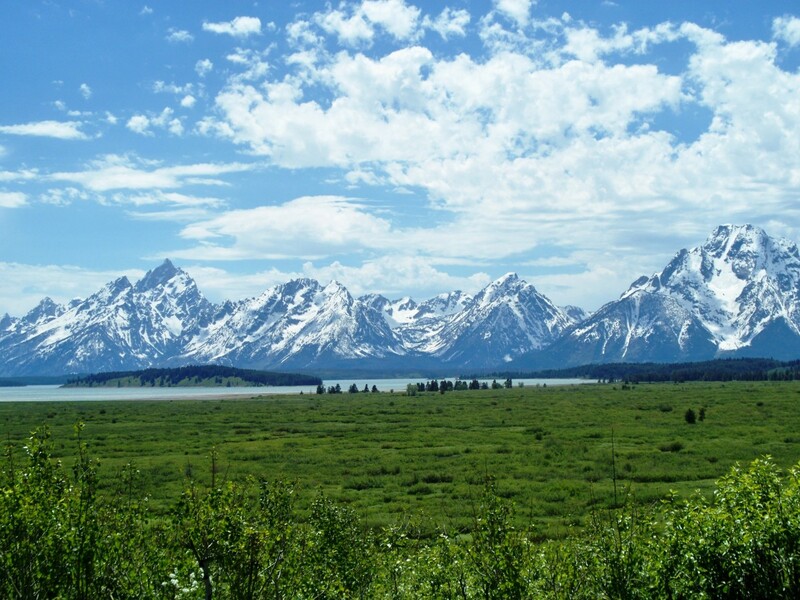 There are many great places to enjoy its natural beauty. 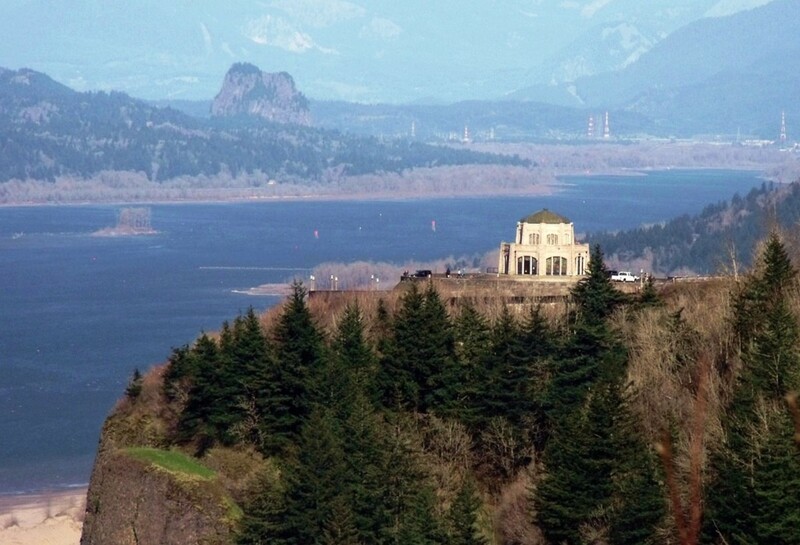 Vista House is an architectural marvel built in the shape of an octagon on a cliff 700 feet above I-84. 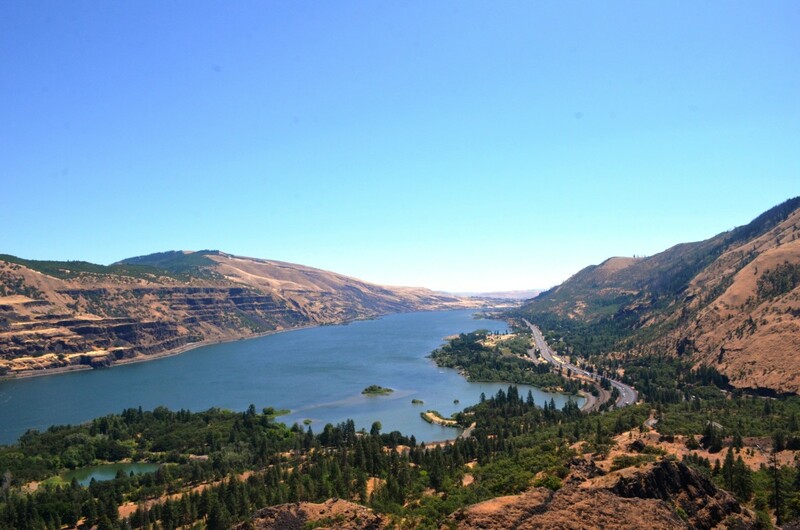 The view of the gorge is spectacular in all directions. 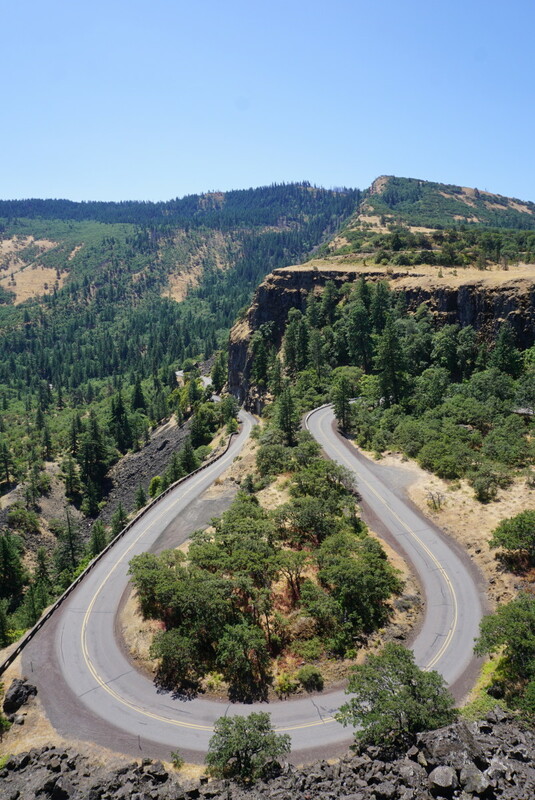 Another great place is the Rowena Crest Viewpoint, which is on the eastern end of the gorge. 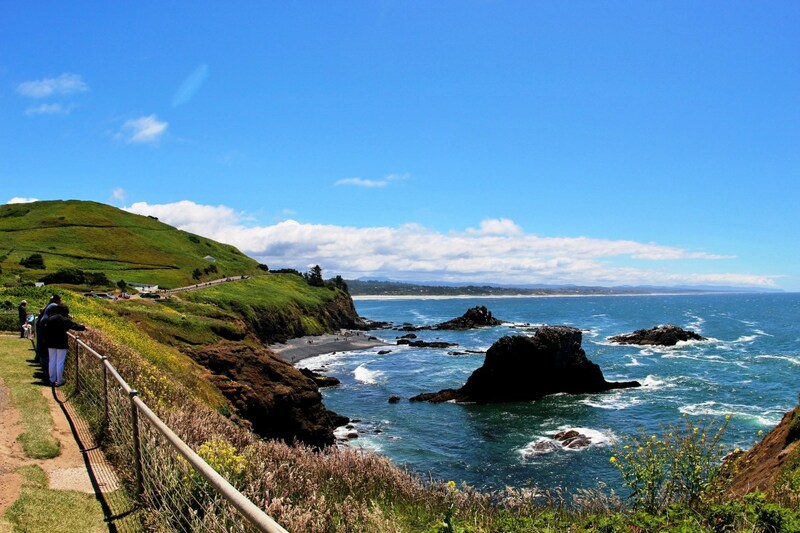 It is famous for the horseshoe-shaped road that leads to the viewpoint. 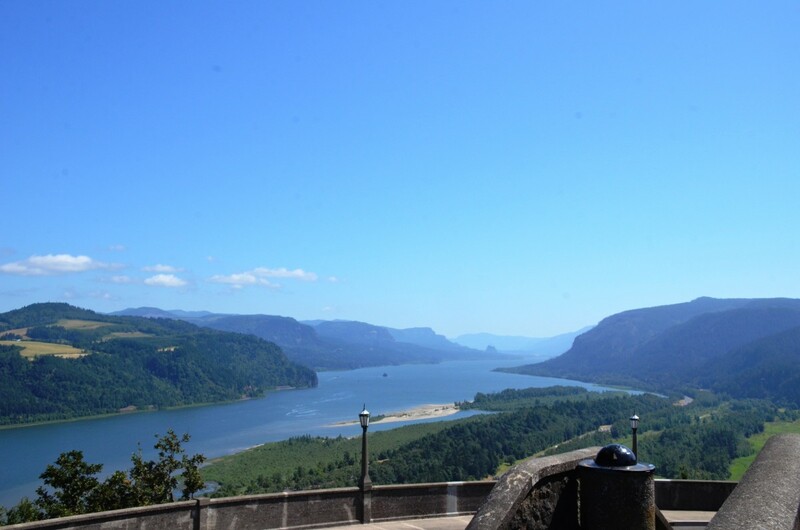 A third place to view the Columbia River Gorge is from the Bridge of the Gods. 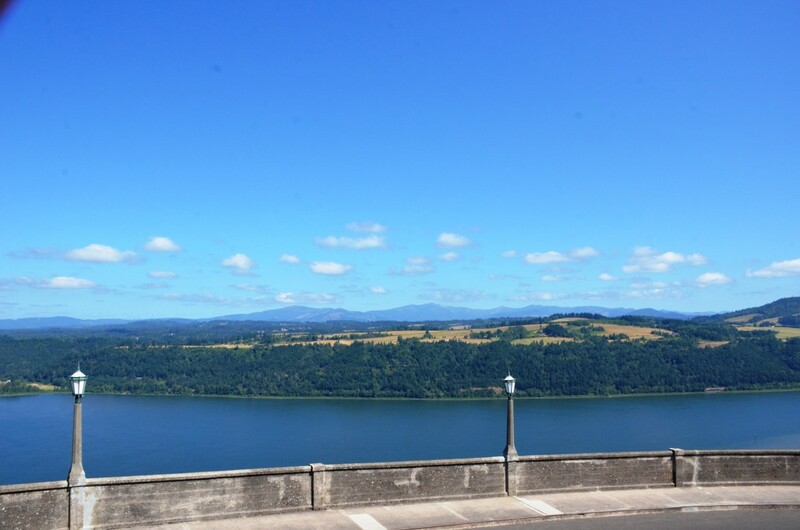 It is a toll bridge that crosses the Columbia River near the midway point in the gorge. Take a walk across the bridge for the best views. 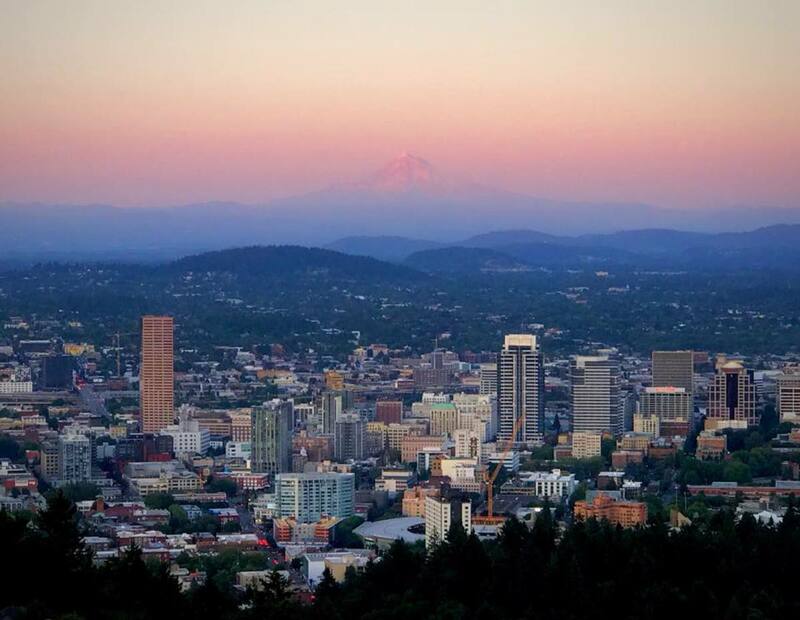 Portland is a unique place surrounded by gorgeous landscapes. 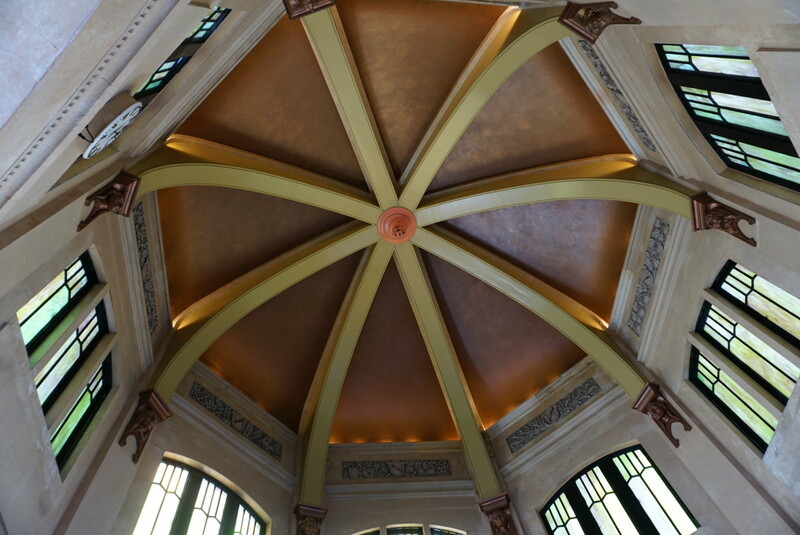 It is a diverse and vibrant city, and there are so many things to do. 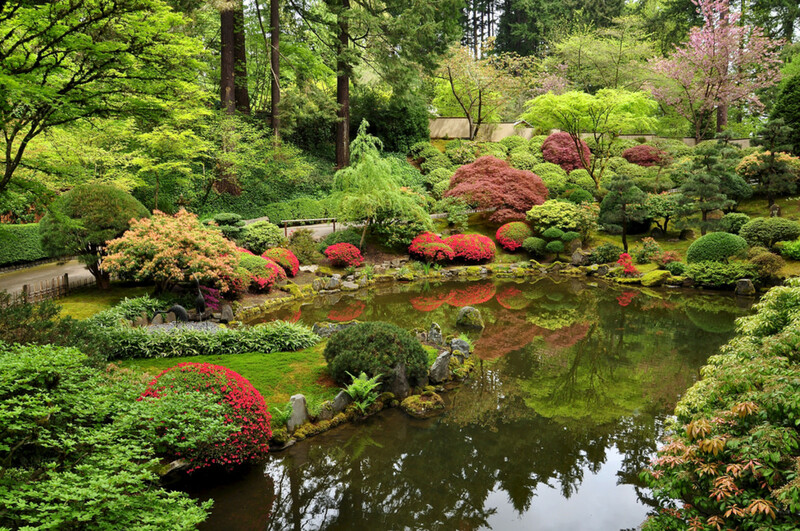 Here is a look at the best things to do outdoors in Portland. 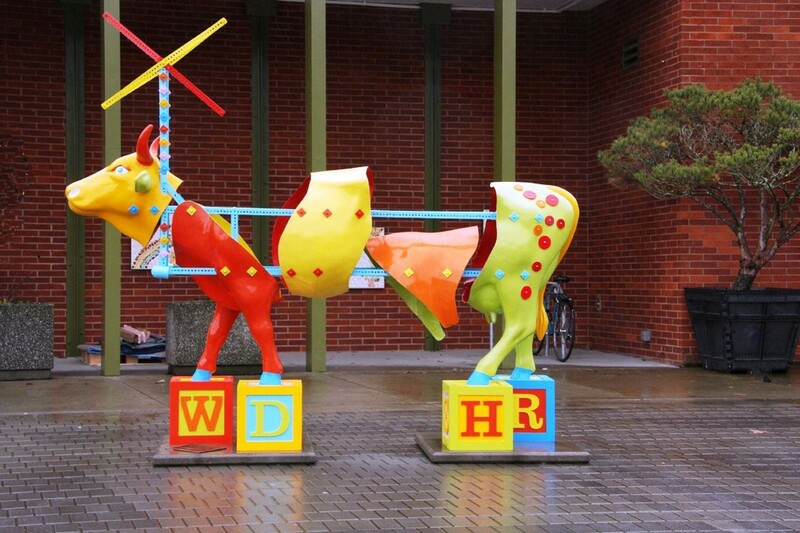 Washington Park has something for everyone. 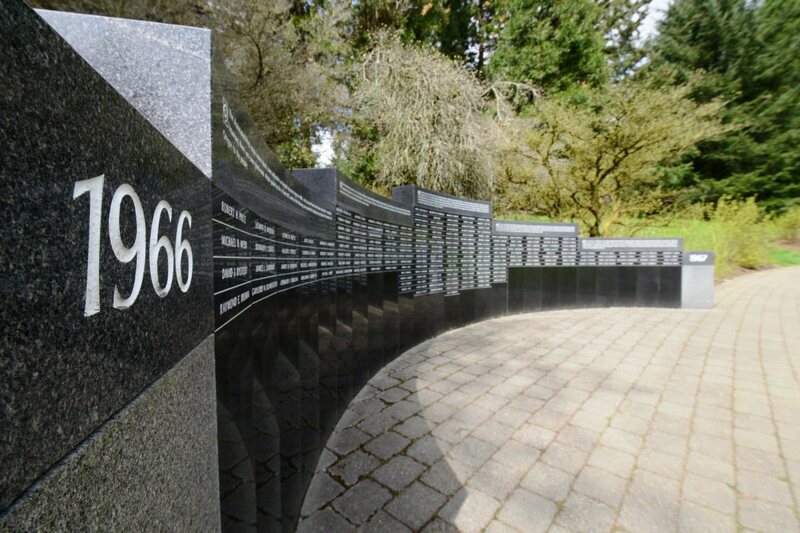 It is home to the Oregon Zoo, Portland Japanese Garden, Hoyt Arboretum, International Test Rose Garden, World Forestry Center, Vietnam Veterans of Oregon Memorial, Oregon Holocaust Memorial, and Portland Children’s Museum. There is limited parking at the park, so I recommend taking either the Red or Blue MAX light rail lines or bus #63. 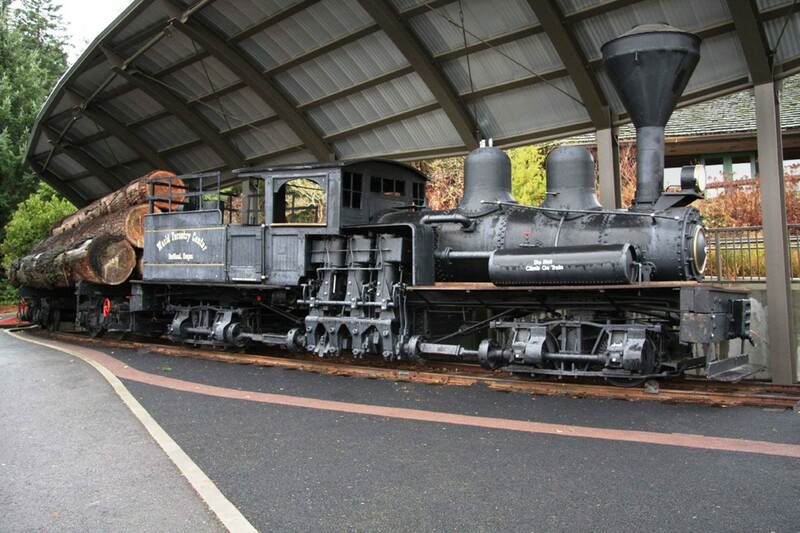 In the summer months, there is a free Explore Washington Park shuttle that stops at all the park’s major attractions. 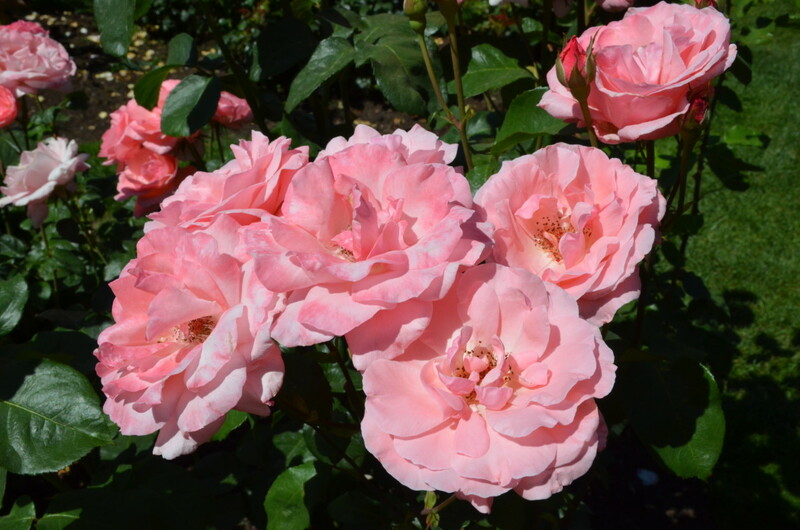 I highly recommend the International Test Garden. 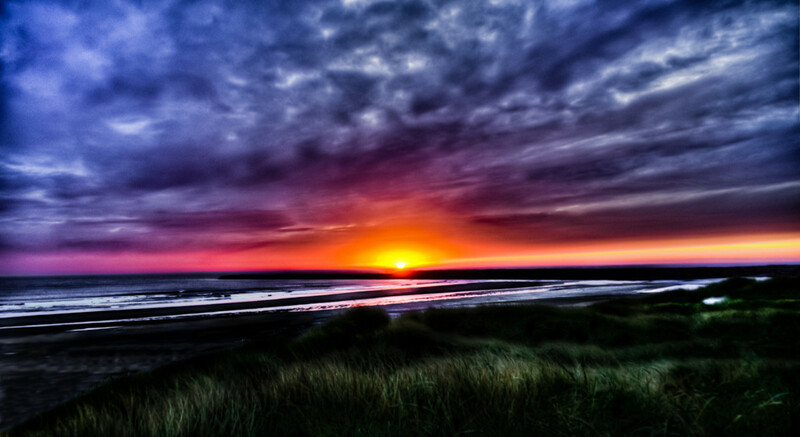 It is spectacular to see the sea of colors. Tom McCall Waterfront Park is a 30-acre park along the Willamette River. 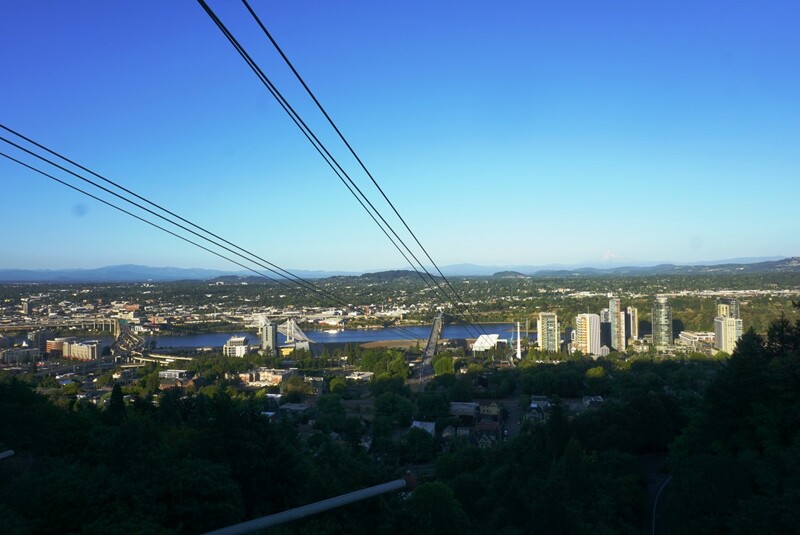 It is a great place to view the Portland skyline, walk along the river, take a picnic lunch, or just hanging out on a beautiful day. Tom McCall Waterfront Park is also home to many annual events such as the Portland Rose Festival and Oregon Brewers Festival. I recommend taking the Red or Blue MAX light rail lines to this park. Driving in downtown Portland is not fun. 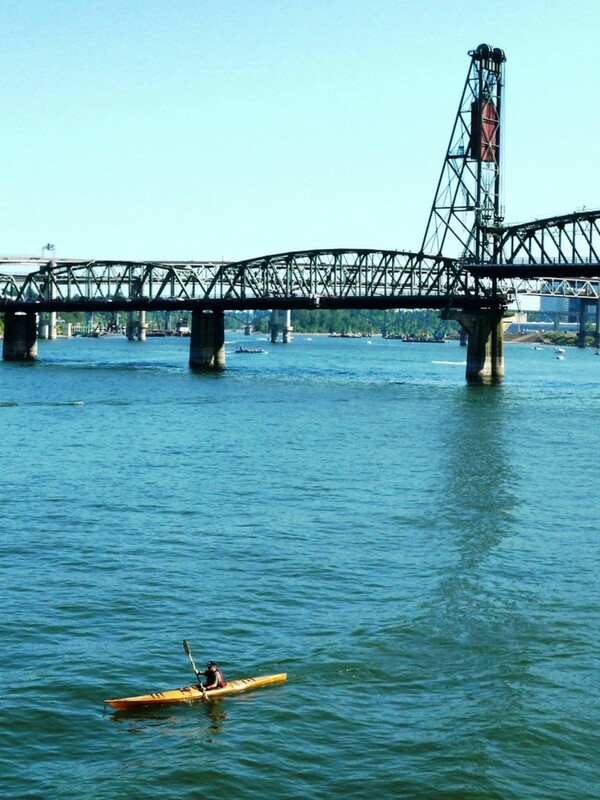 Kayaking downtown Portland is a fantastic way to relax and enjoy the beautiful views of the skyline. Kayaks rentals are available from the Portland Kayak Company or Alder Creek. 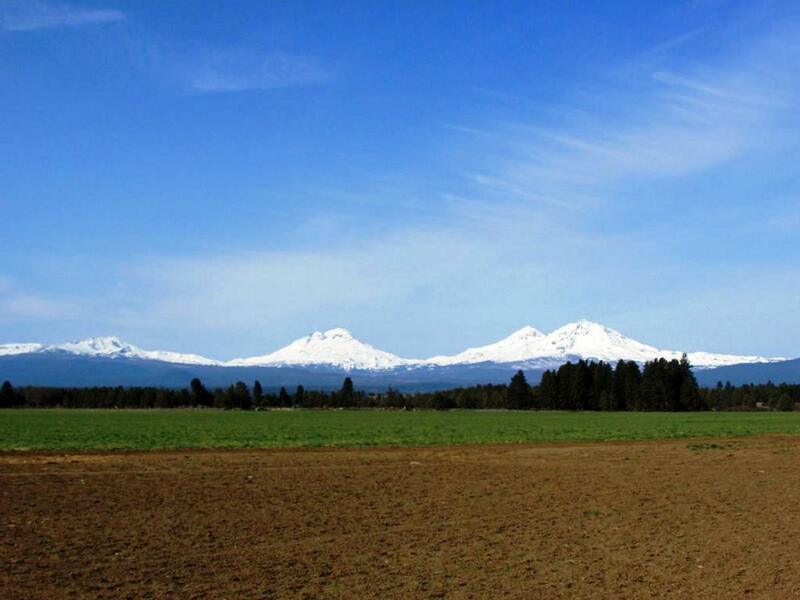 Both companies offer multiple locations with easy access to the Willamette River and guided tours as well. Alder Creek also has a location on the Columbia River, but the Willamette River is more of a tranquil location with less ship traffic. 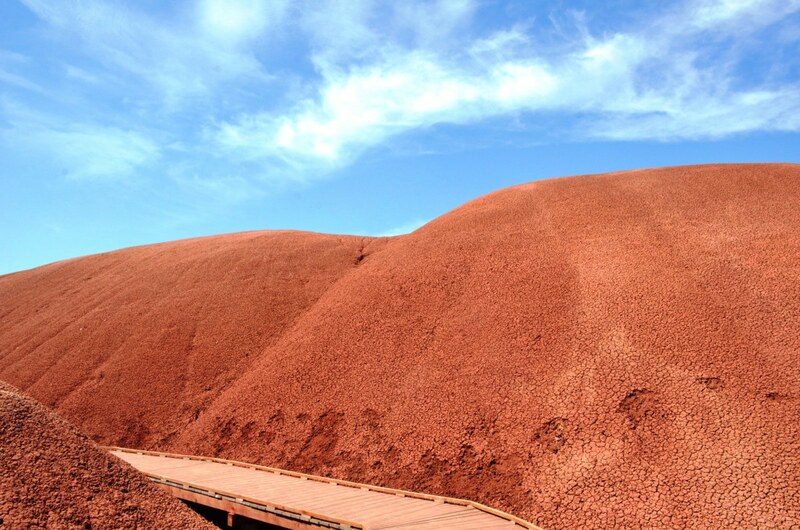 Spend a few hours soaking up the sun and the amazing views. 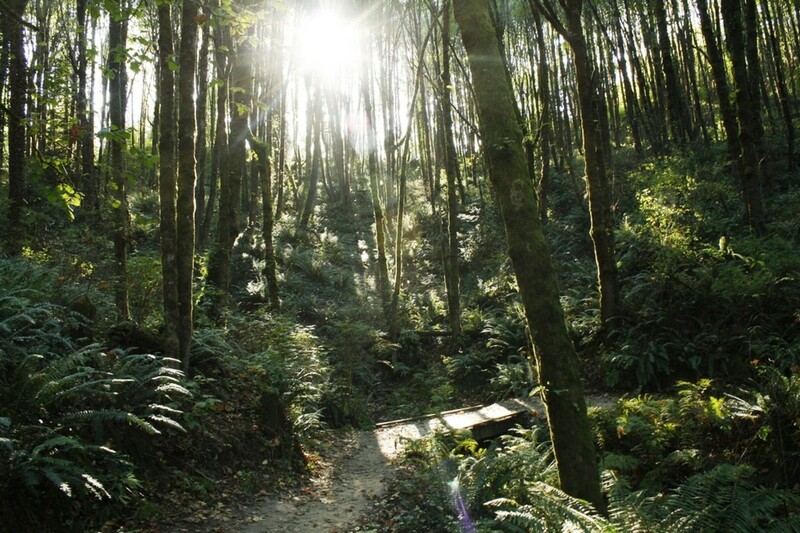 Take a hike in Forest Park and escape the busyness of the city. 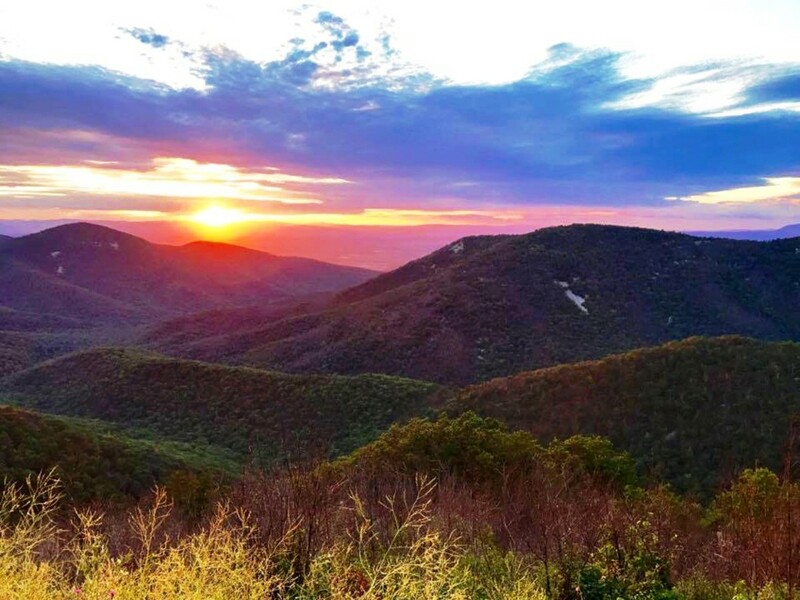 It has more than 80 miles of interconnected hiking trails and close to 5,200 acres. 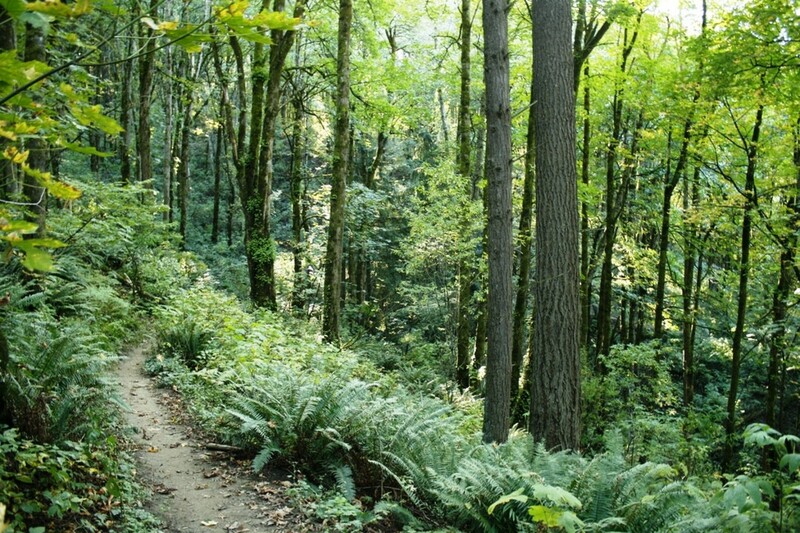 Forest Park is great for hiking, birding, or biking. 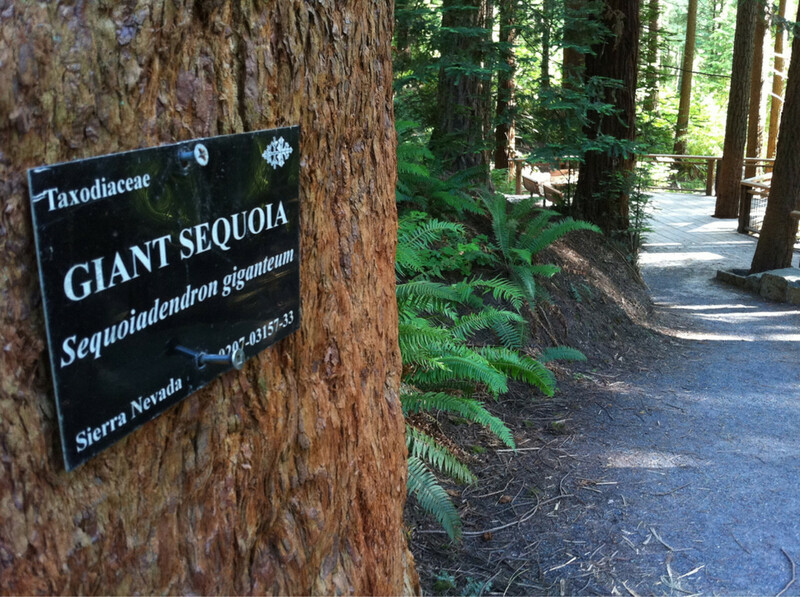 The Wildwood Trail is 28 miles in length. 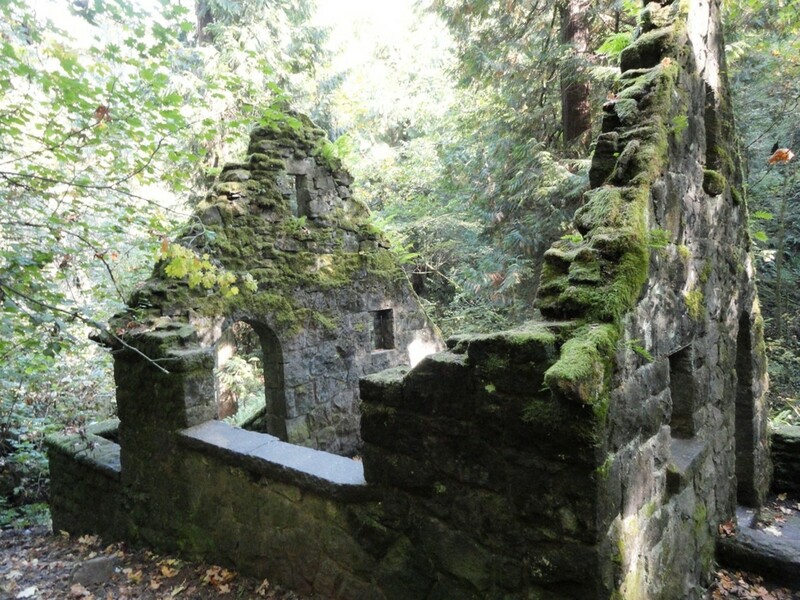 On the north end, it starts at the Wildwood Newberry Trailhead and runs throughout the park and ends in Washington Park after passing near the Pittock Mansion. 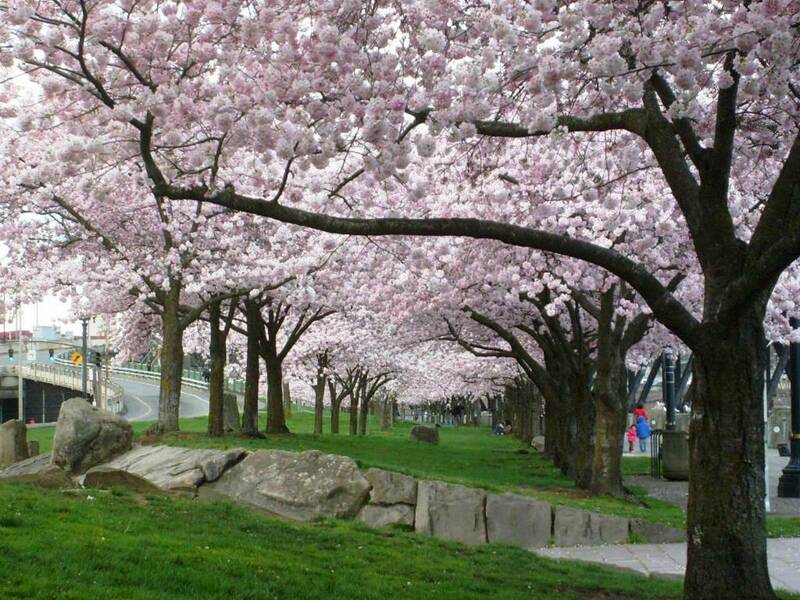 I highly recommend checking out this beautiful and tranquil park. 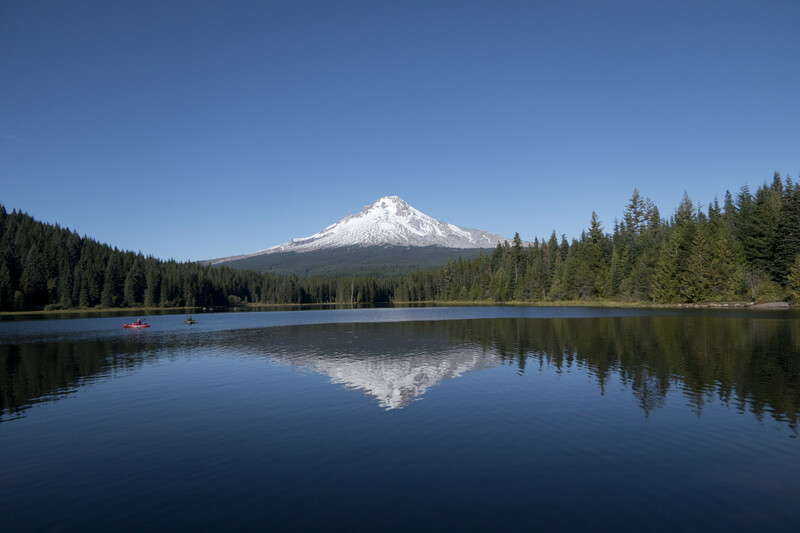 The view of Mount Hood from Trillium Lake is awe inspiring. 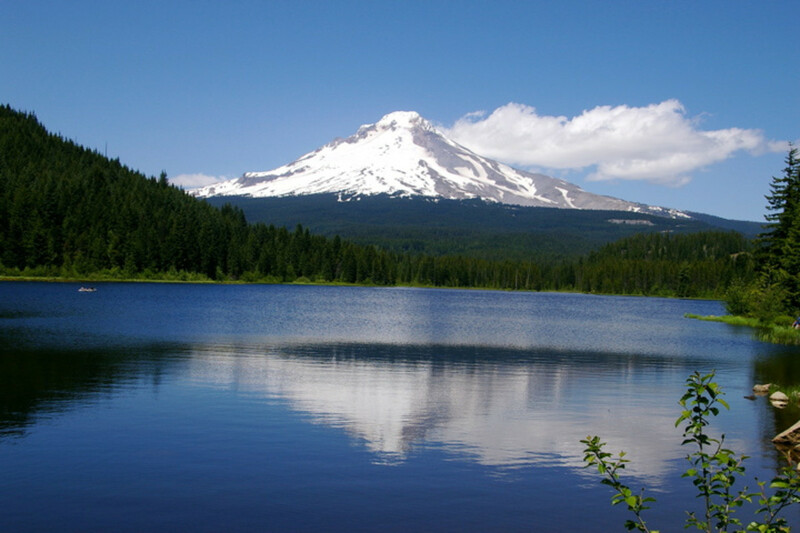 On a calm day, Mount Hood's reflection can be seen reflecting in the lake. 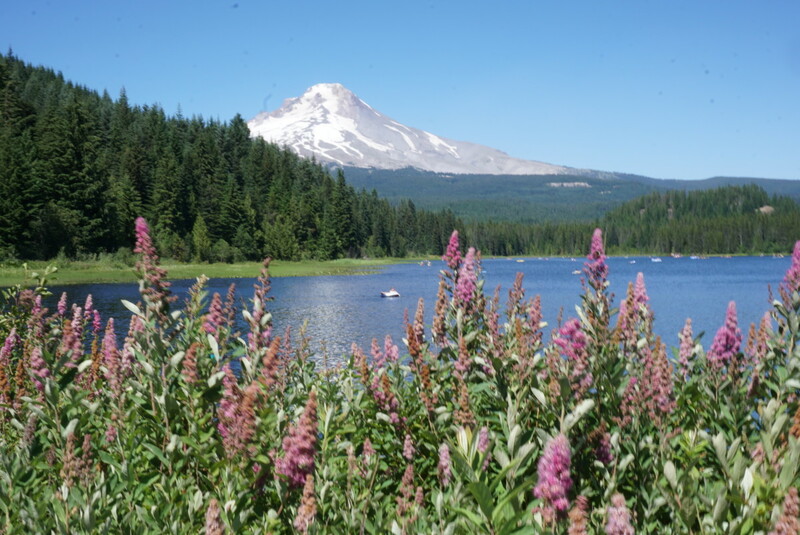 It is a beautiful place to go for a swim, enjoy a picnic, kayak, camp, or take a hike around the lake on the Trillium Lake Trail. The lake can be busy, so it is my advice to arrive early in the day. 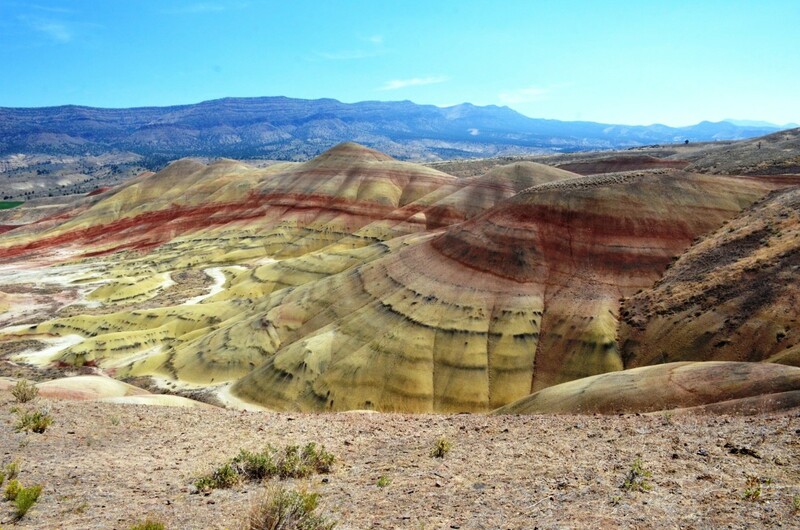 Painted Hills at the John Day Fossil Beds National Monument is an otherworldly place. 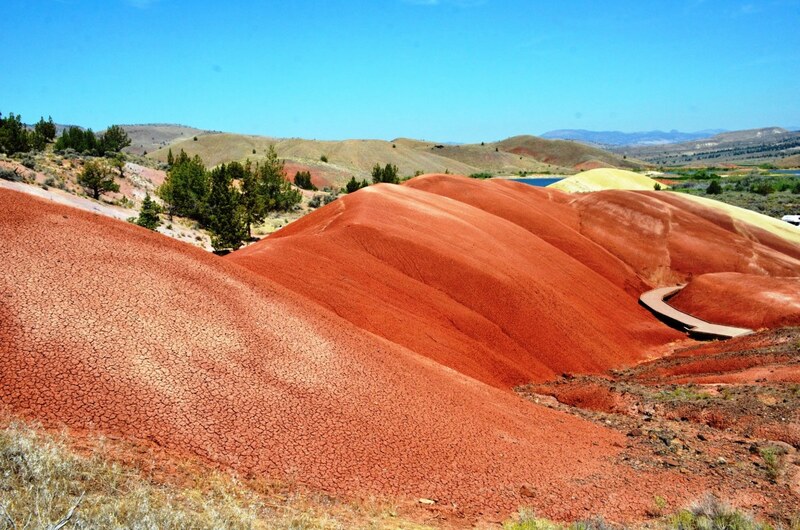 Some of the red hills look more like Mars than Oregon. 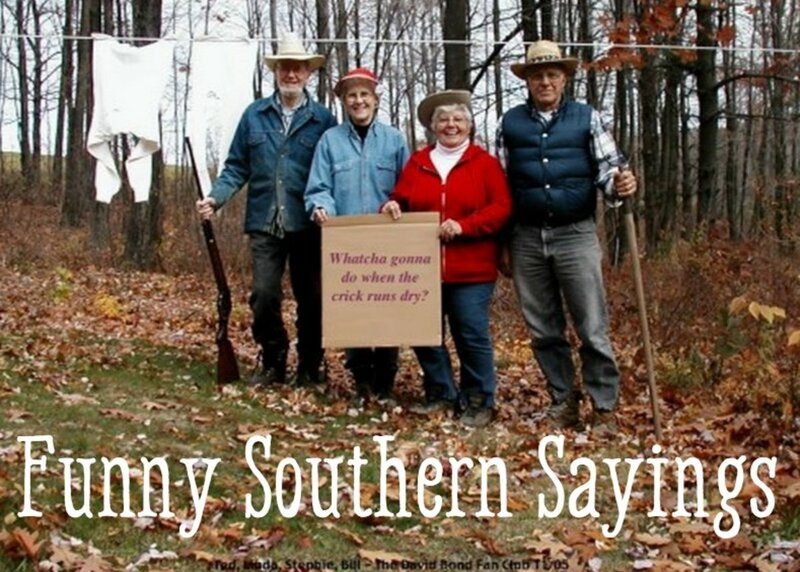 They look painted in varying colors of orange, red, yellow, an tan. It is a spectacular sight to see. 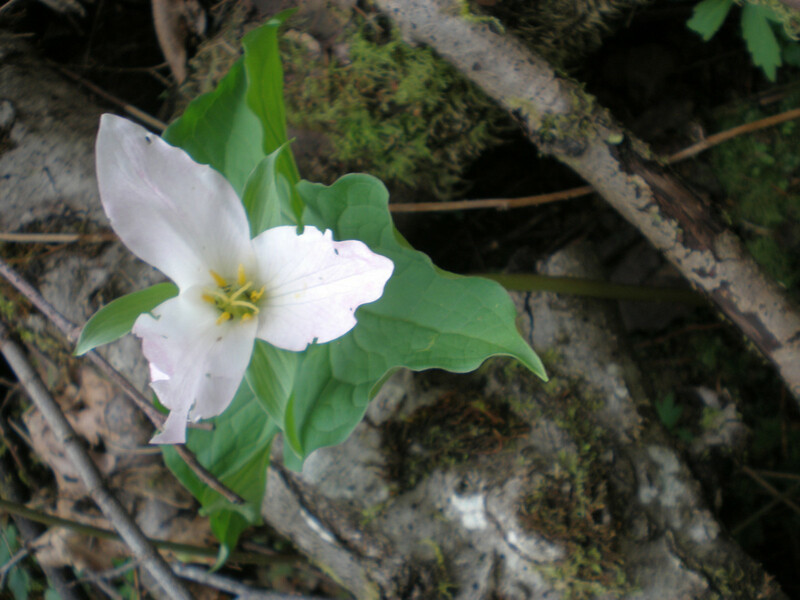 There are five different hiking trails that offer the change to get closer or above the hills. 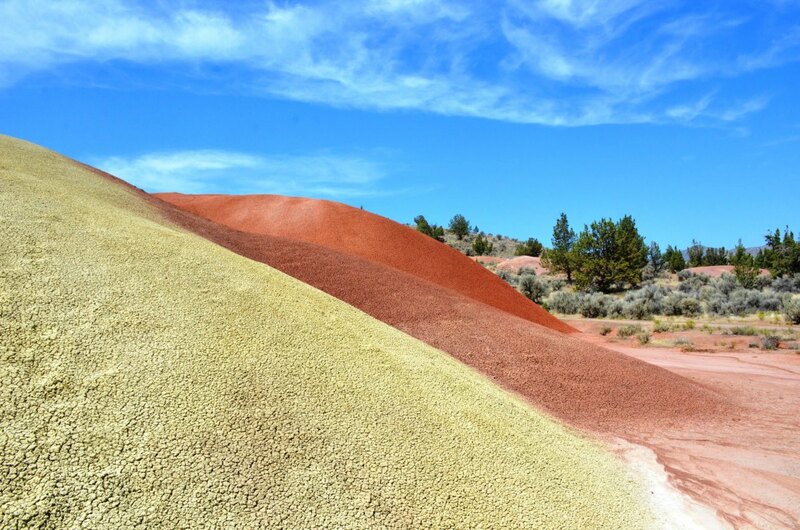 Rain causes the hill colors to become more vibrant. 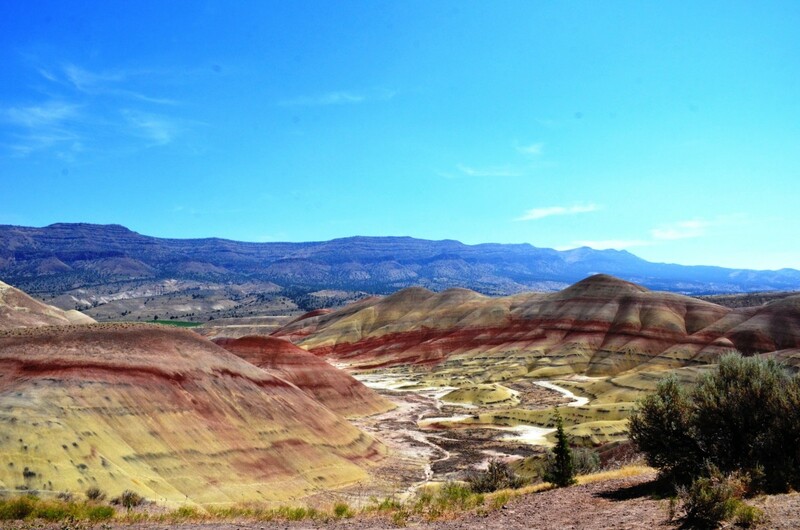 Painted Hills is a must see when visiting Oregon. 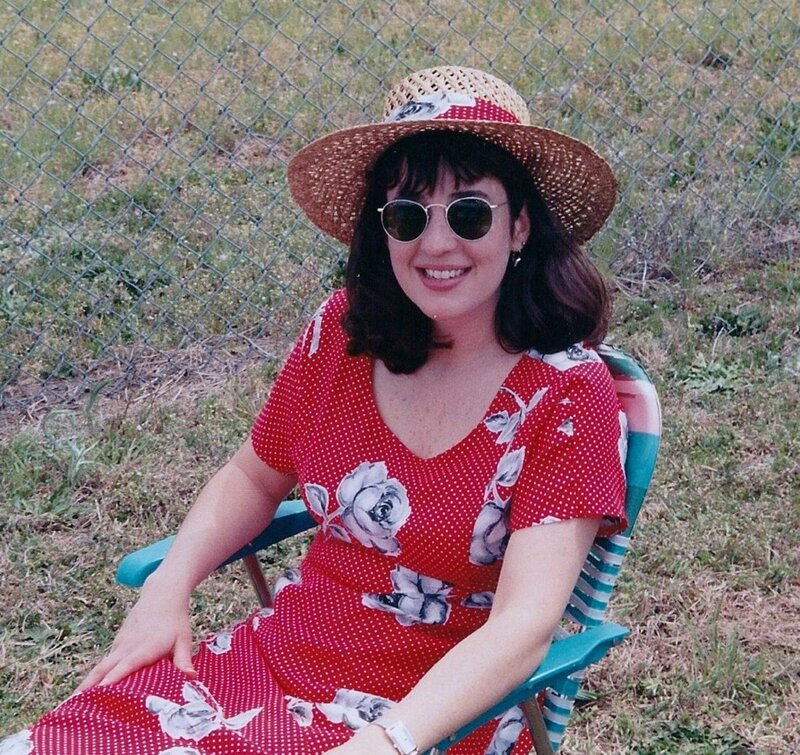 My family and I loved our time there. 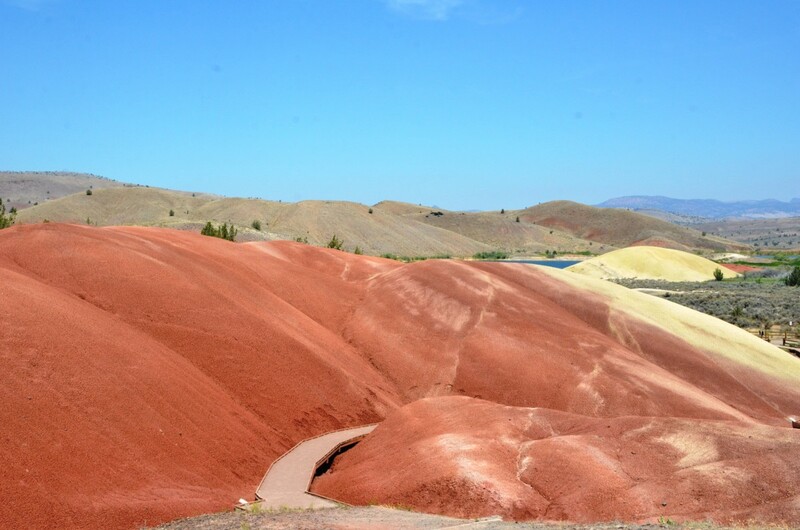 We went on most of the hikes and were able to take some colorful pictures. I cannot recommend it enough. 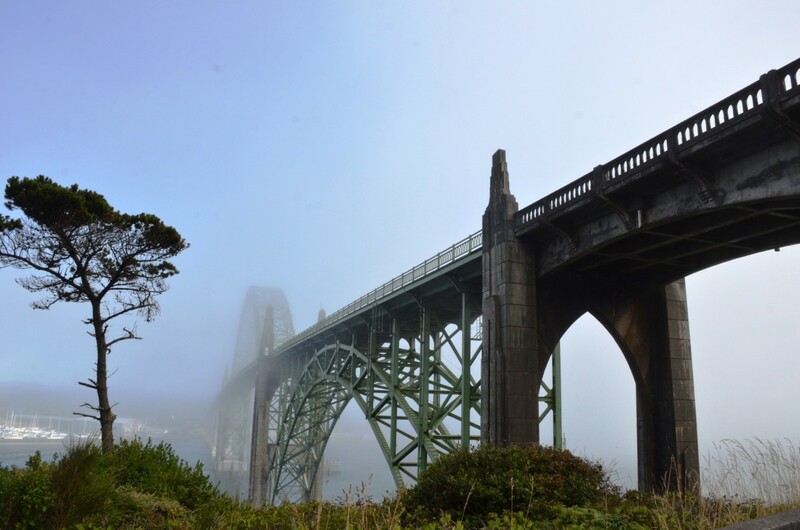 Newport is a beautiful place to enjoy the Pacific Coast. 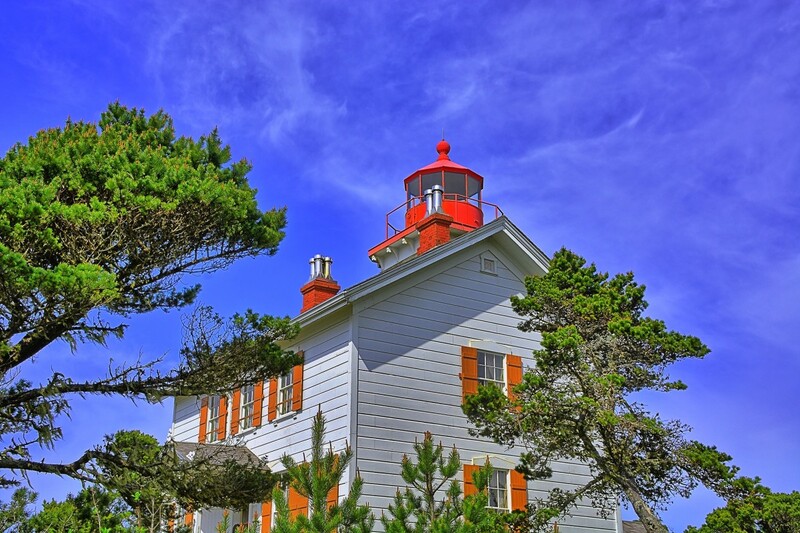 It is best known for its great beaches, historic lighthouses, and seafood. 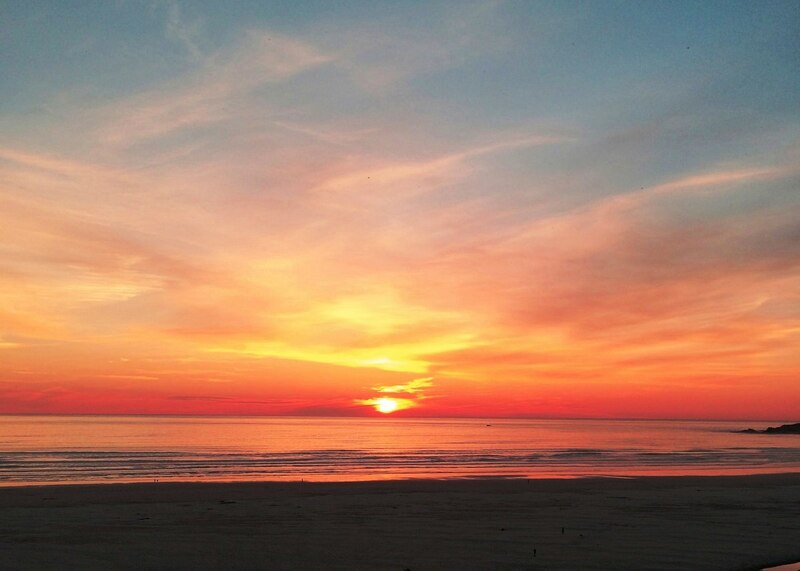 Here is an insider’s guide to the great outdoor activities in Newport. 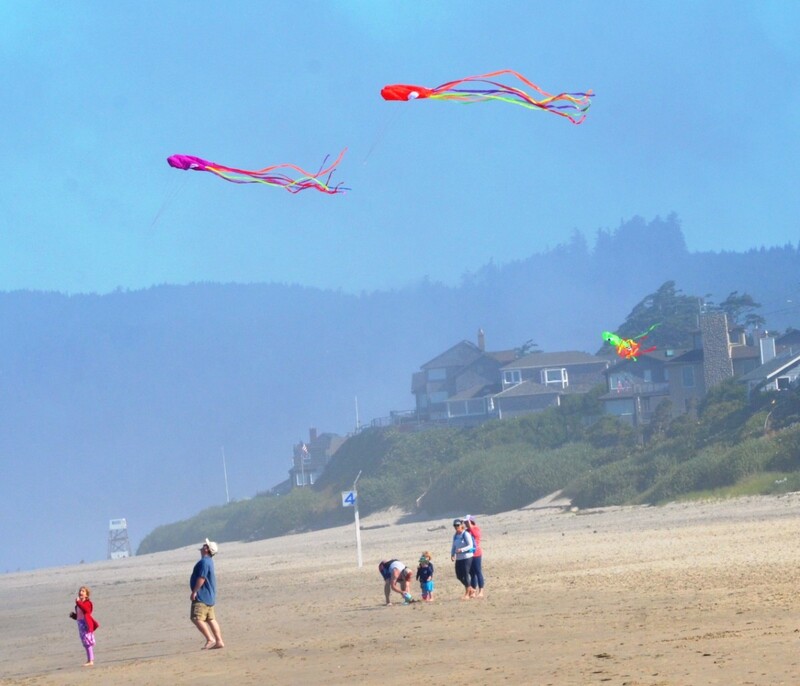 The beaches in Newport offer many fun things to do. 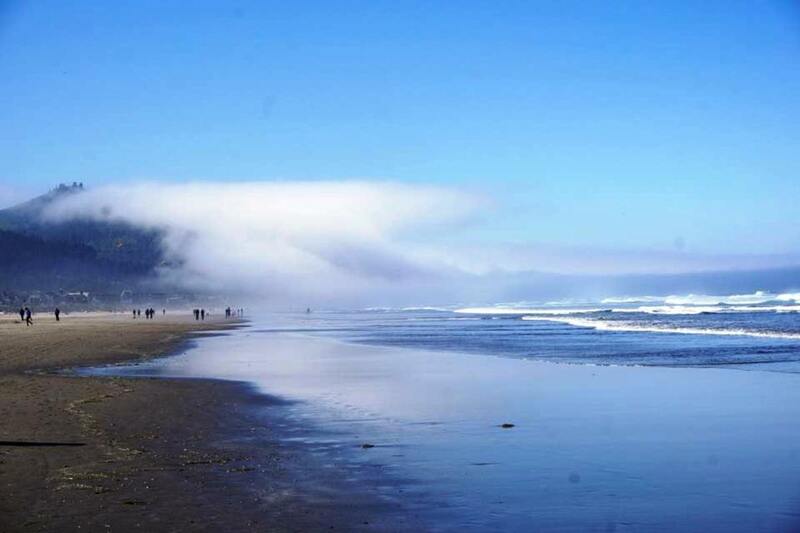 Agate Beach offers agate hunting, clamming, and surfing. 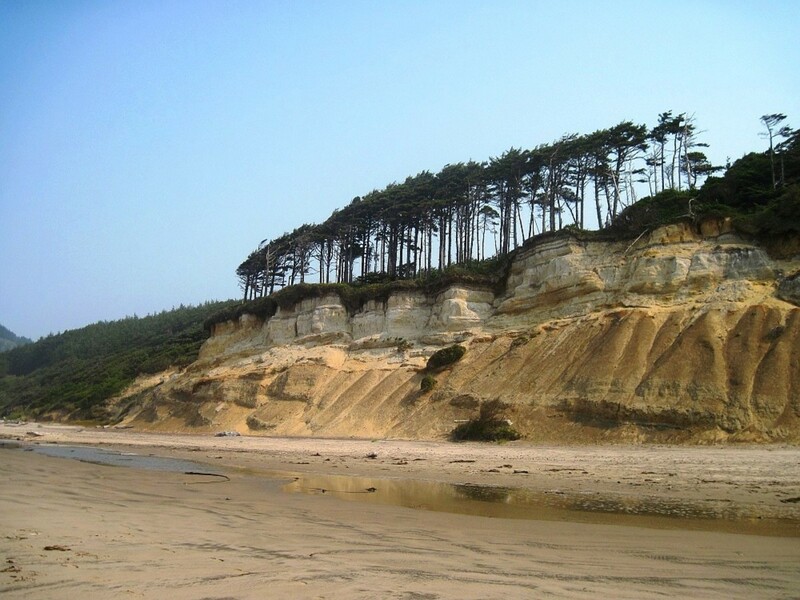 Beverly Beach is known for finding fossils along the cliffs that outline the beach. 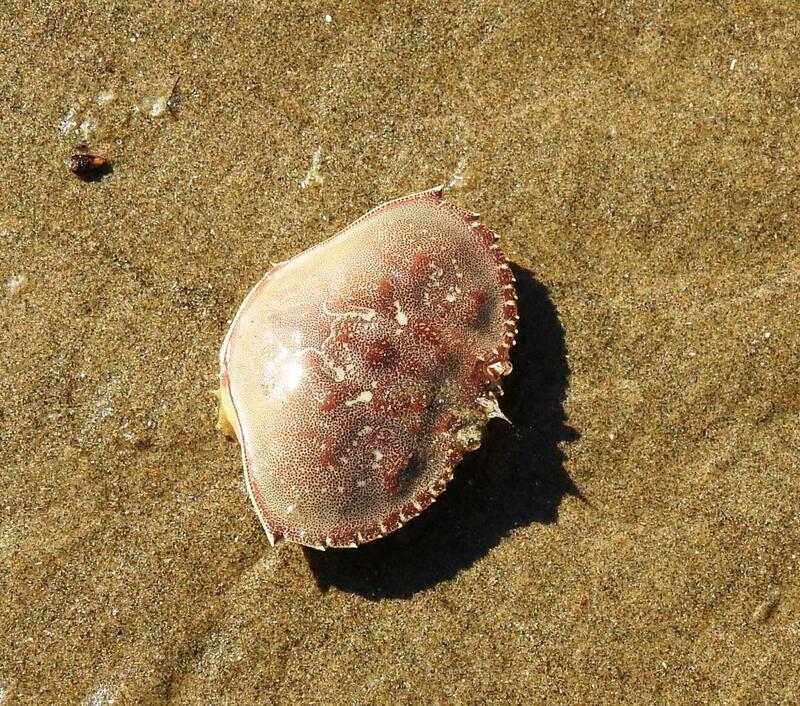 Cobble Beach is the best place in the Newport area to go for tide pools. 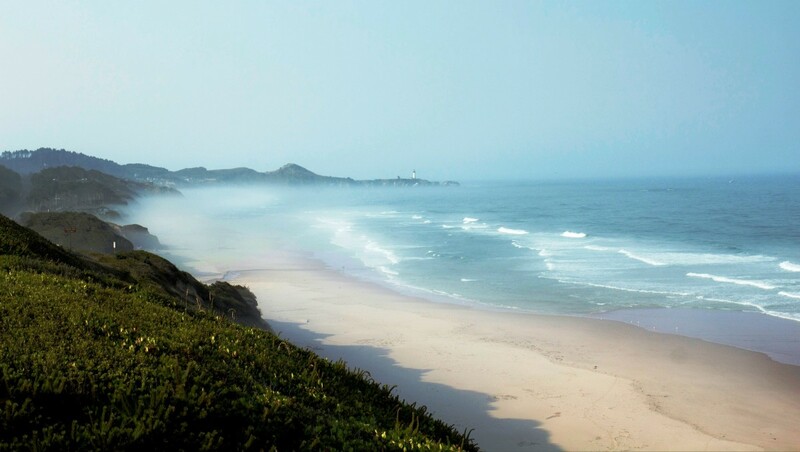 South Beach is a great place to go for surfing and watching for whales. 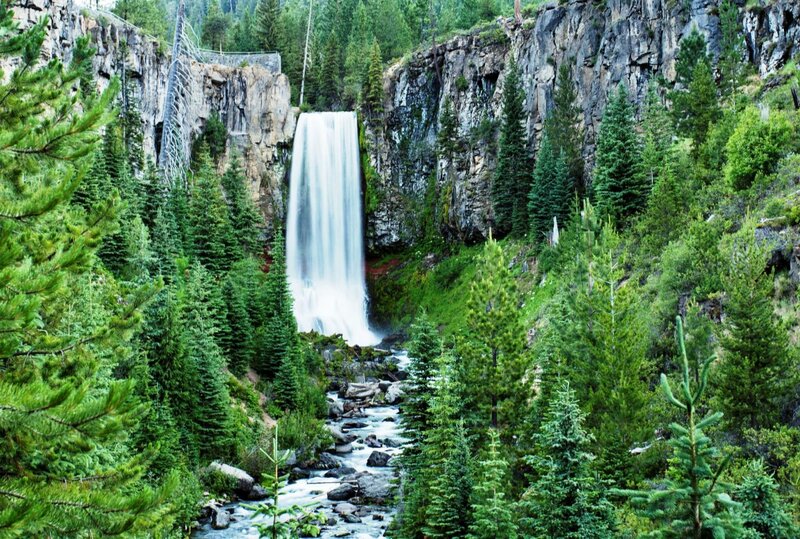 Tumalo Falls is a beautiful waterfall near Bend, Oregon. The falls is 89-feet high and framed by a cliff on each side. The viewing area for the base of the falls is mere feet from the parking lot. There is a short trail that leads to the top of the falls. Tumalo Falls is difficult to photograph with a clear sky because of the shadowing in the canyon. The best time for pictures is between noon and 3 PM if the sky is clear. 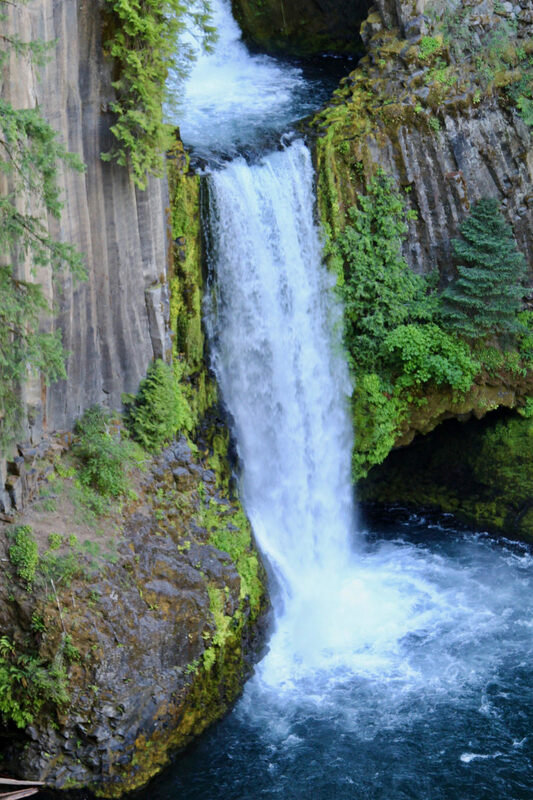 Toketee Falls is gorgeous and framed by a columnar basalt formation that is picturesque. The falls drops 113 feet in two separate tiers. Toketee means “graceful” in Chinook. 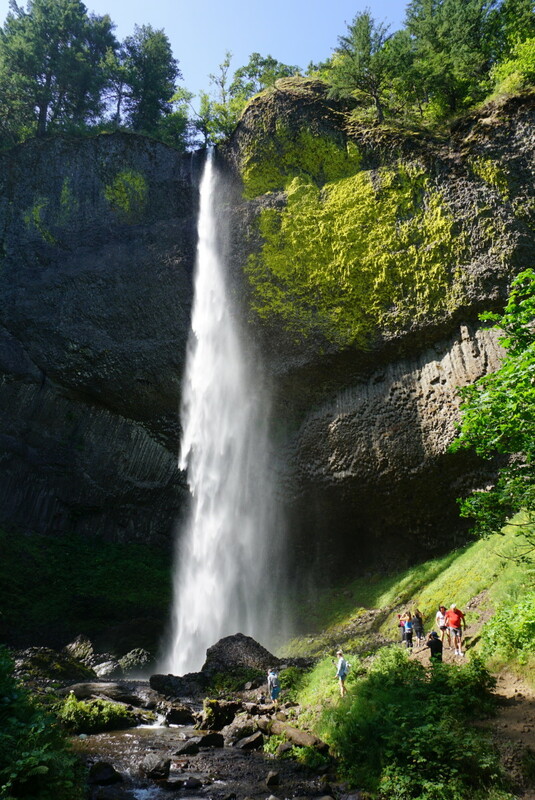 The Toketee Falls trailhead is about a third of a mile long and an easy hike. 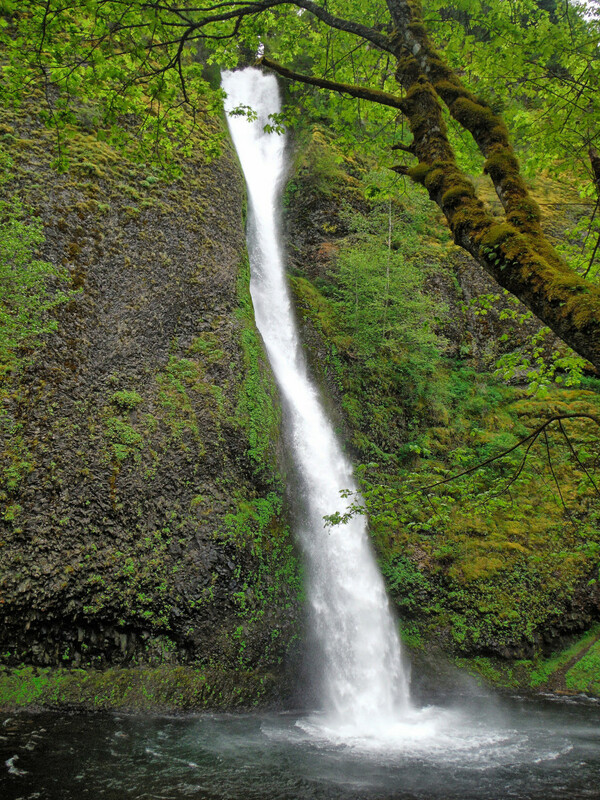 It is the most photographed waterfall in southern Oregon and well worth a quick stop. 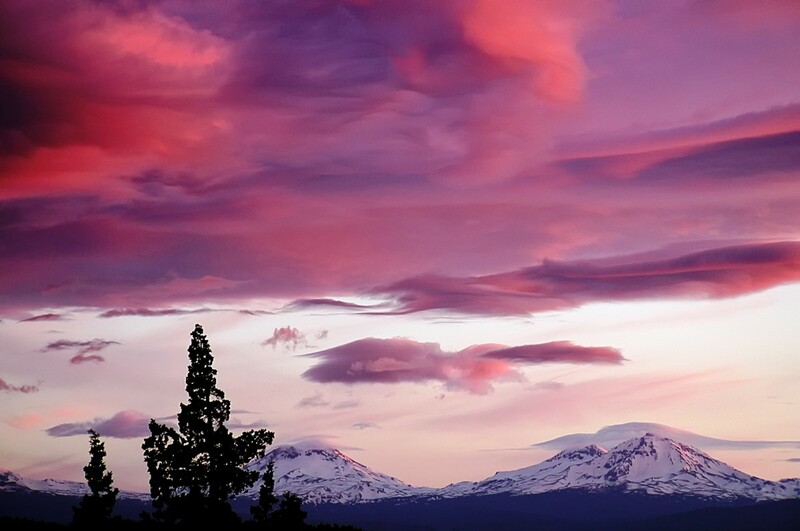 The Three Sisters Wilderness is home to the Three Sister volcanoes. Each one is over 10,000 feet high. 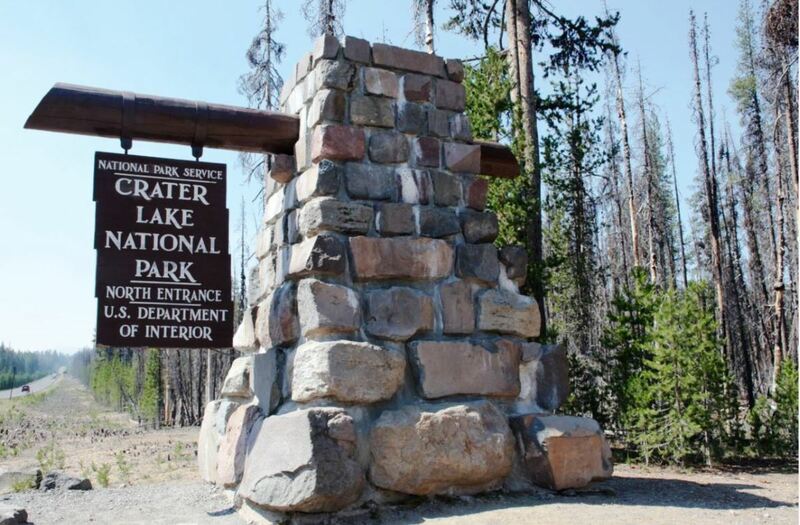 This area is an outdoor lover's paradise with numerous hiking trails, plenty of places to camp, fish, and climb. 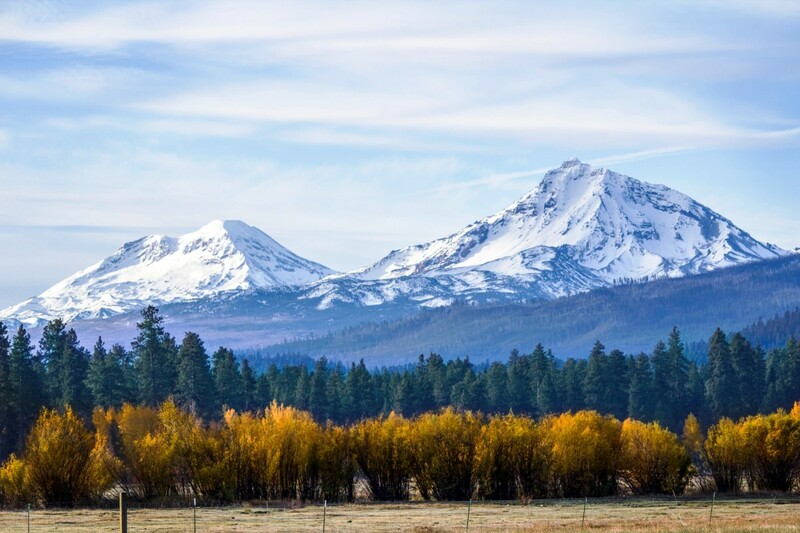 The South Sister attracts a lot of hikers because no technical skills are required to climb it. We spent a night at an alpaca farm near the Three Sisters. 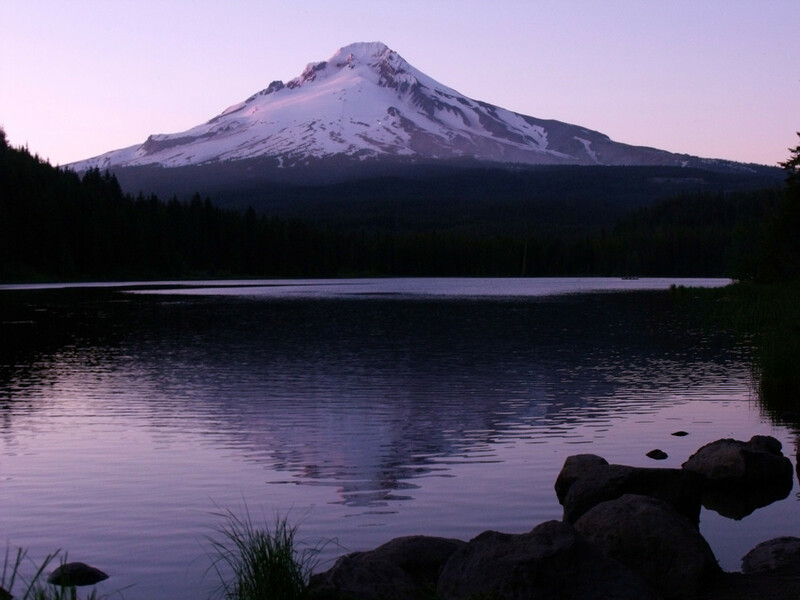 As the sun began to set the Three Sisters as well as Mount Hood, emerged from the haze. The sunset was beyond words. Oregon is a special place. 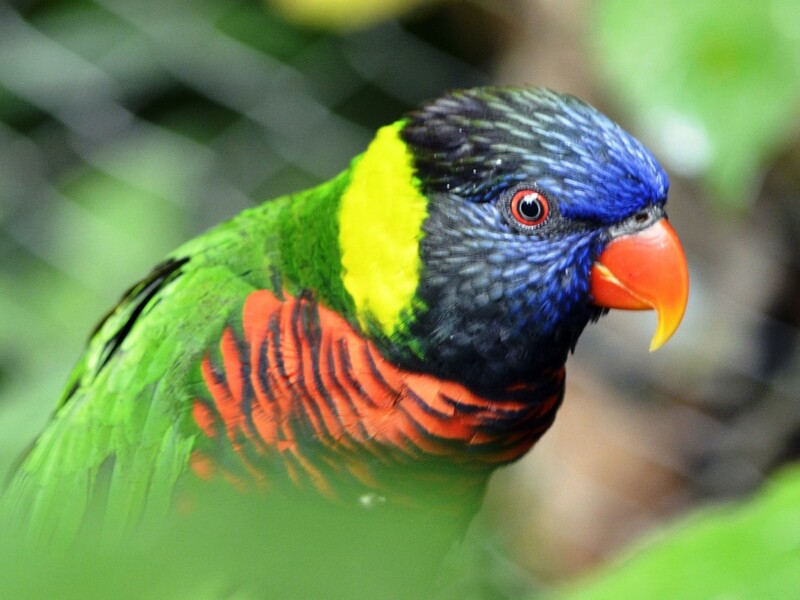 There are so many things to see and do outdoors there. We loved our time there enjoying the tremendous beauty of God's creation. 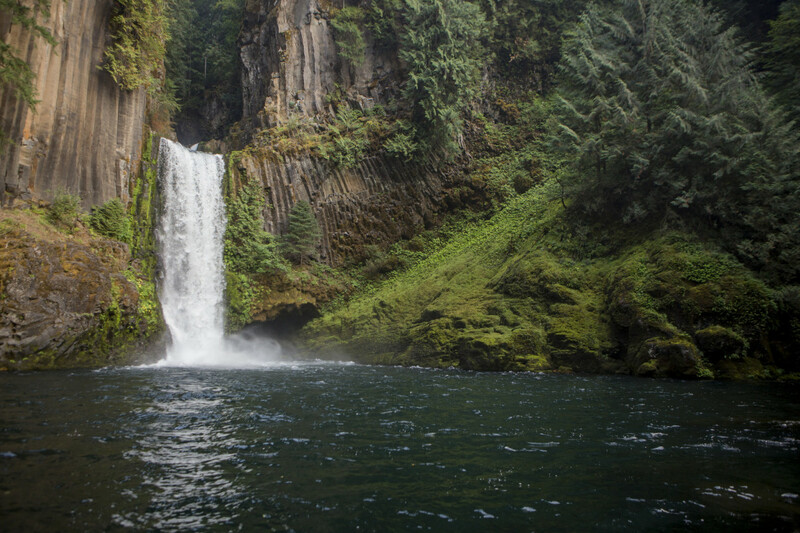 We cannot wait to go back and explore more of Oregon outdoors. Thanks, Poppy! 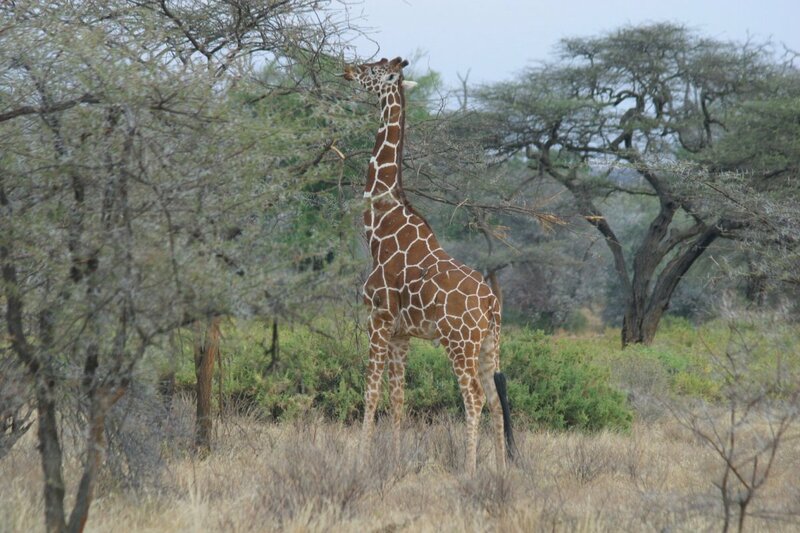 It is an amazing place with so much to see and do. What a great article and gorgeous photos. 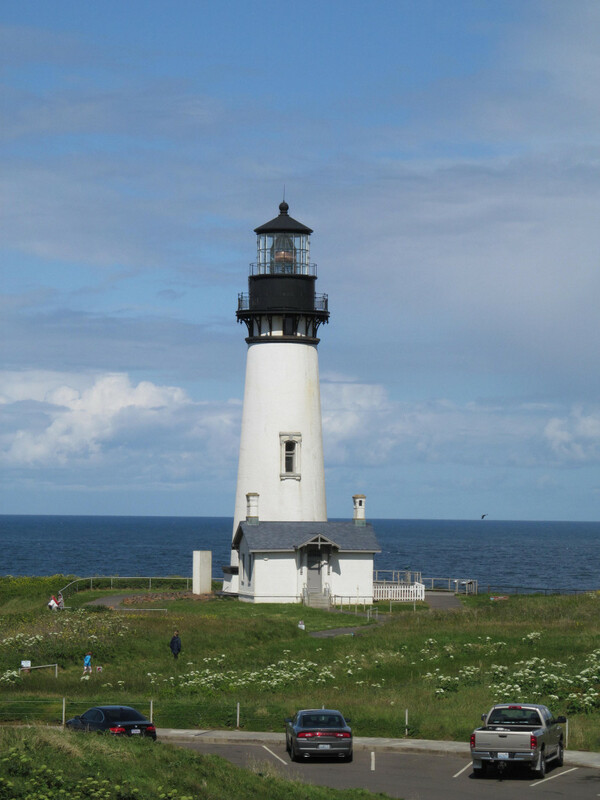 I would love to visit the USA again although I've never been to Oregon. It looks like a beautiful state. Thanks, Liz. 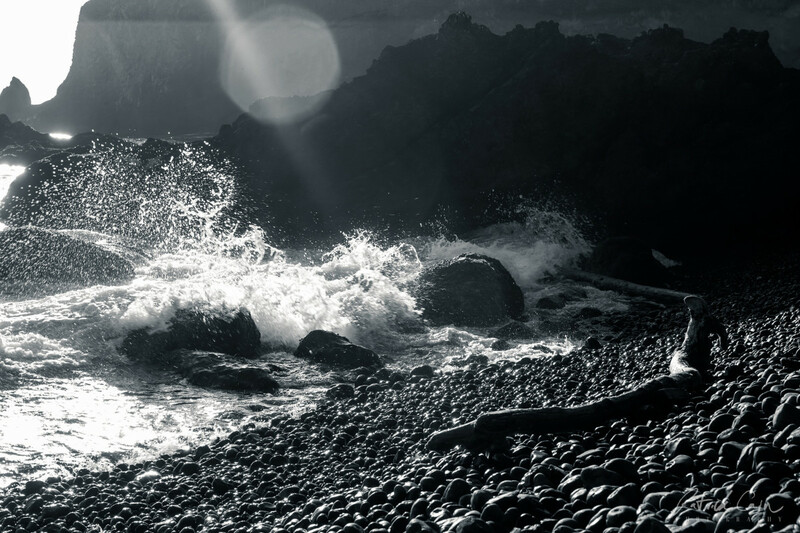 Most of the pictures were taken with a Nikon D750 and a Sony a6000. 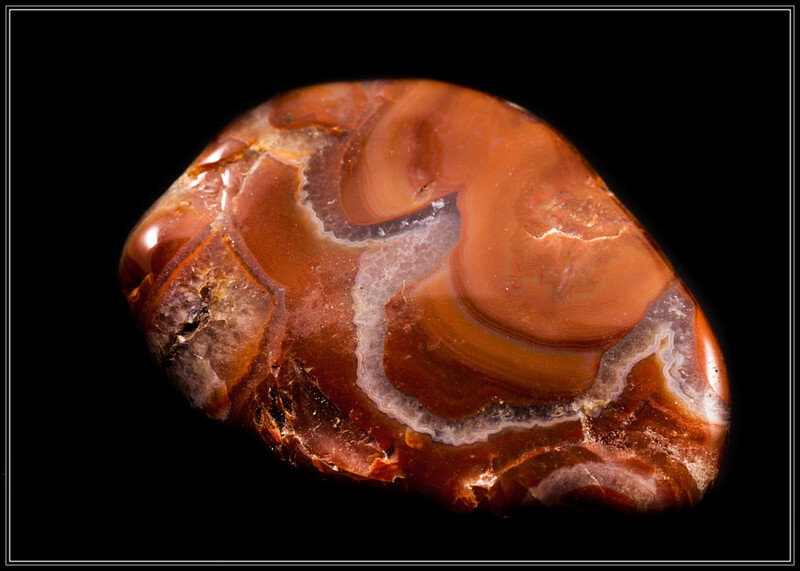 The photos to accompany this informative and interesting article are amazing. What kind of a camera do you use to get such great photos?